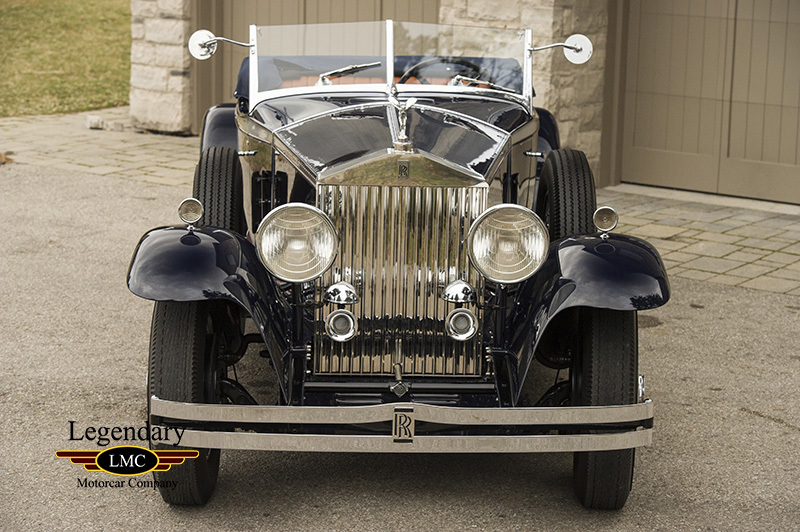 Click any thumbnail below to display the 1931 Rolls Royce Phantom II Henley Roadster slide show. 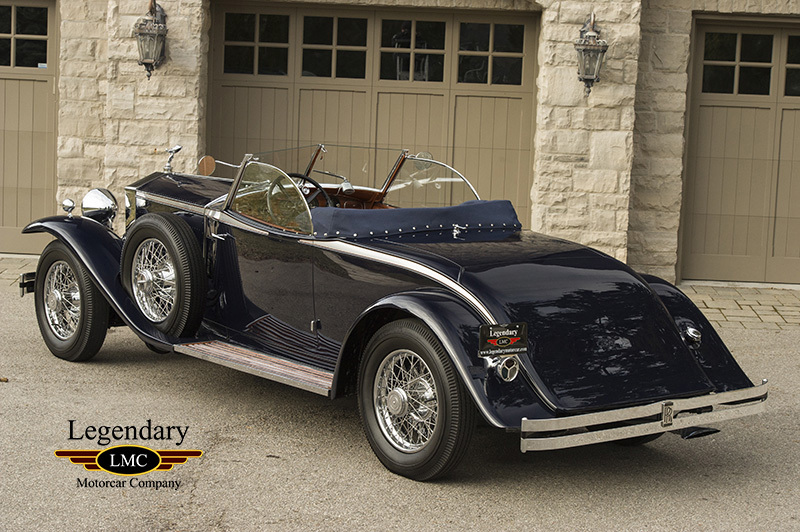 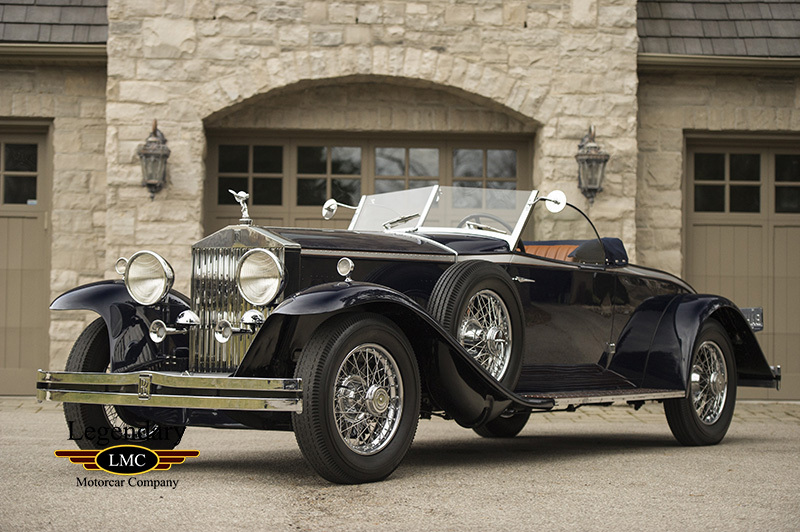 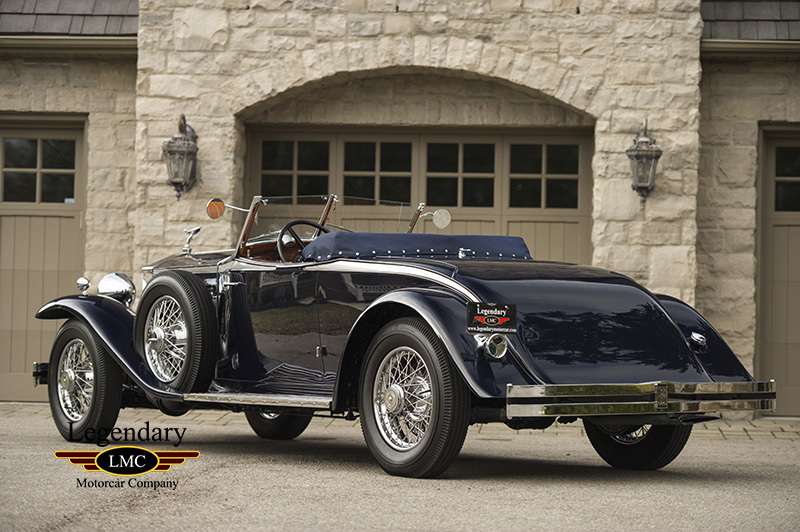 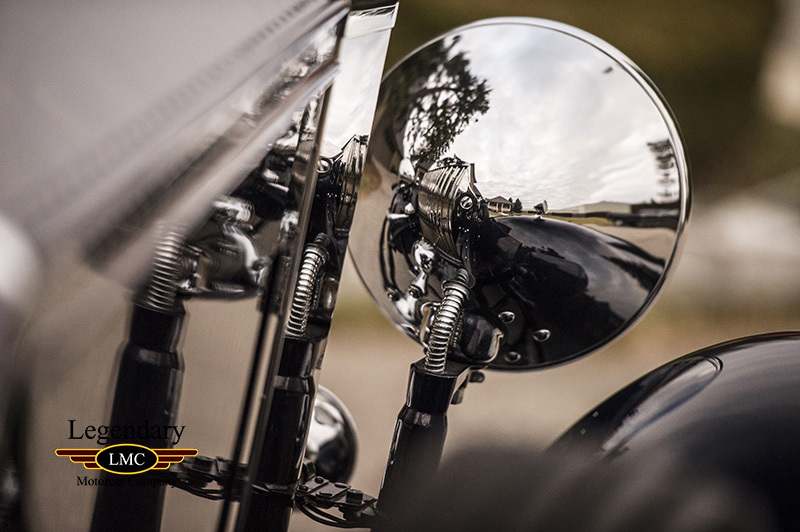 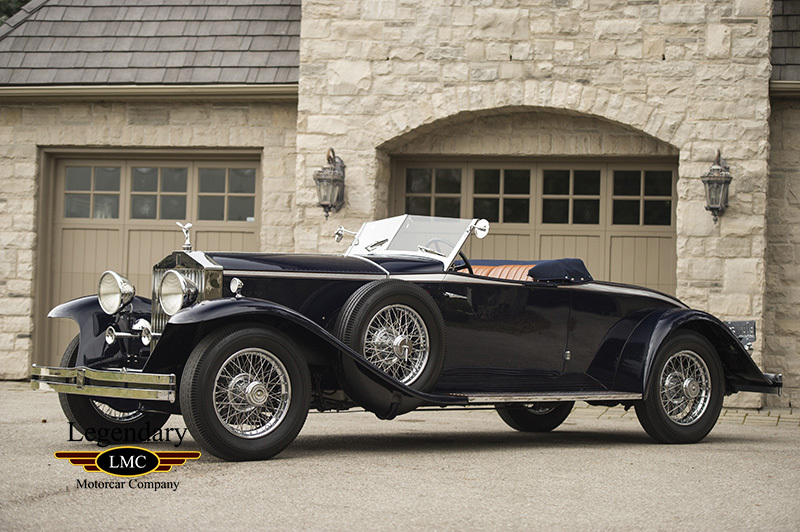 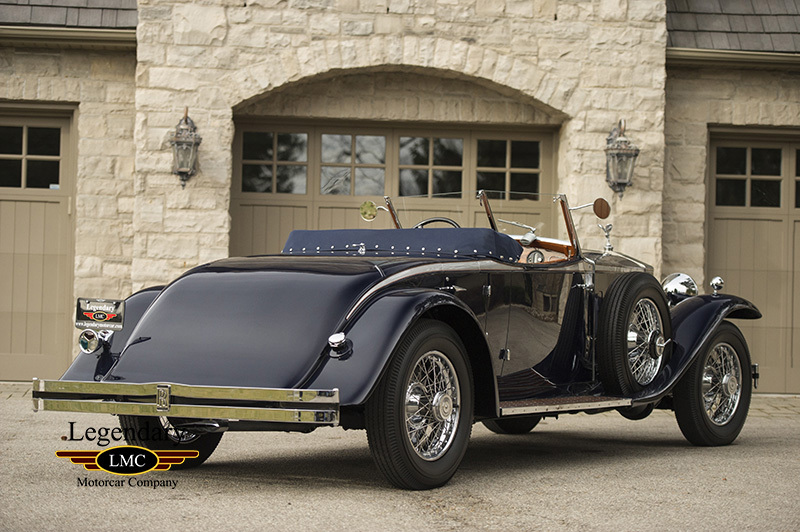 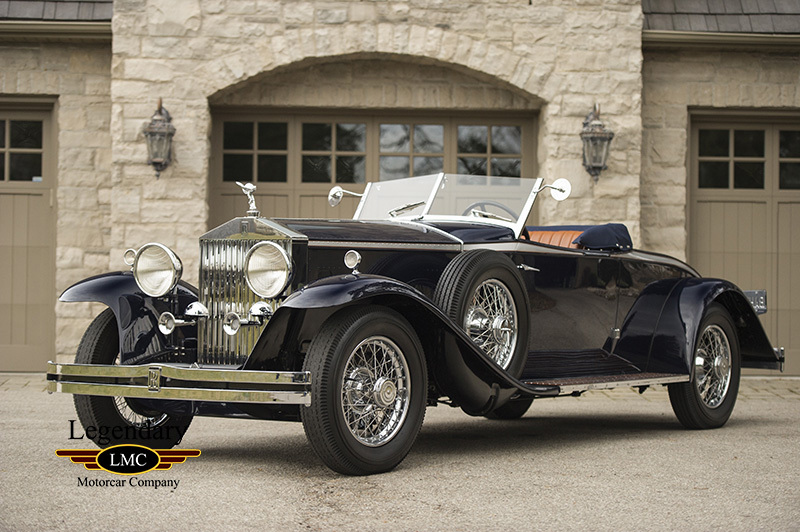 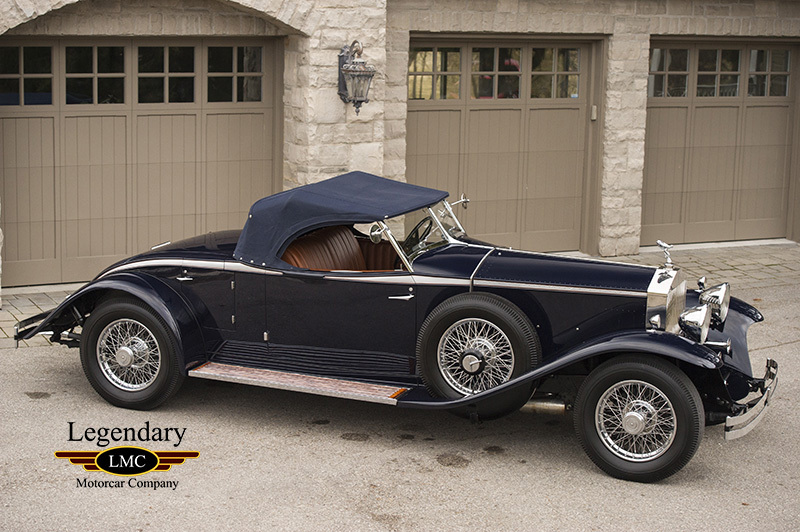 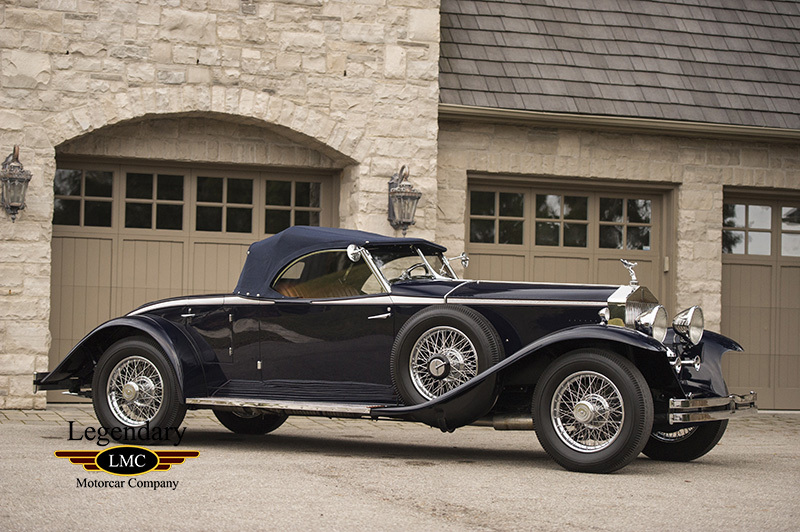 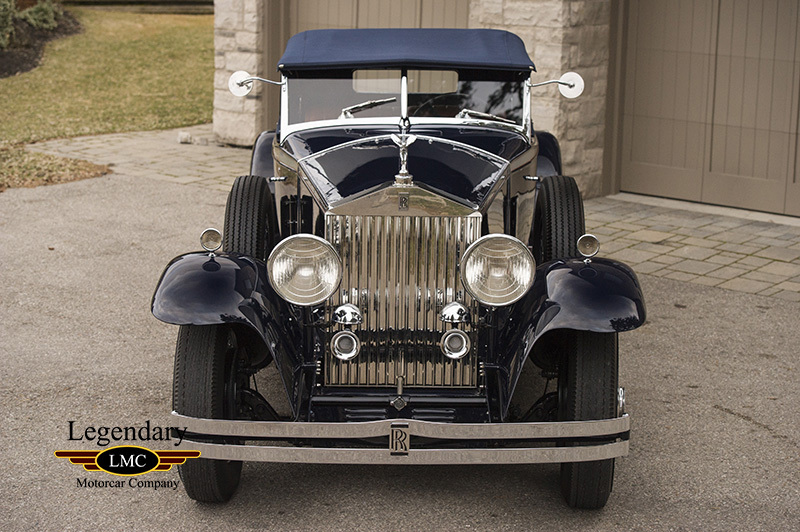 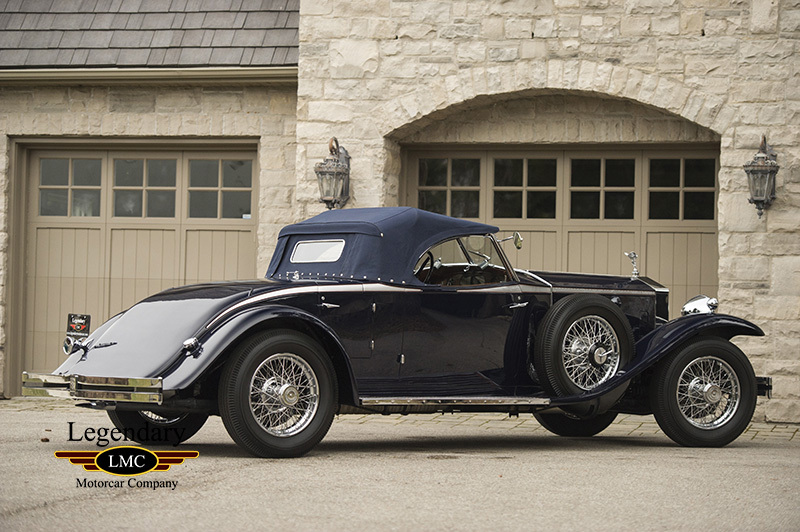 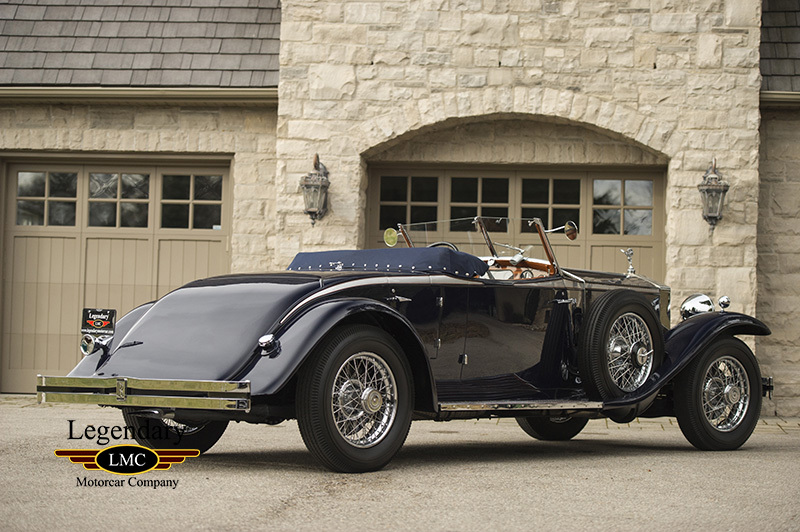 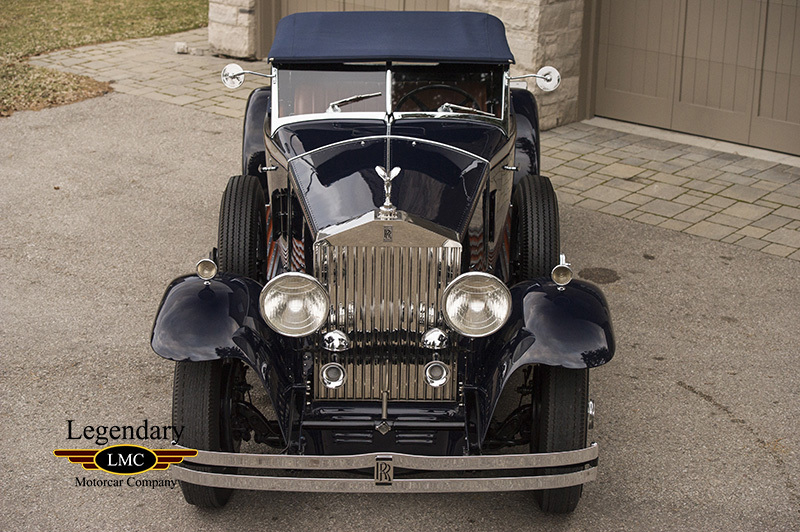 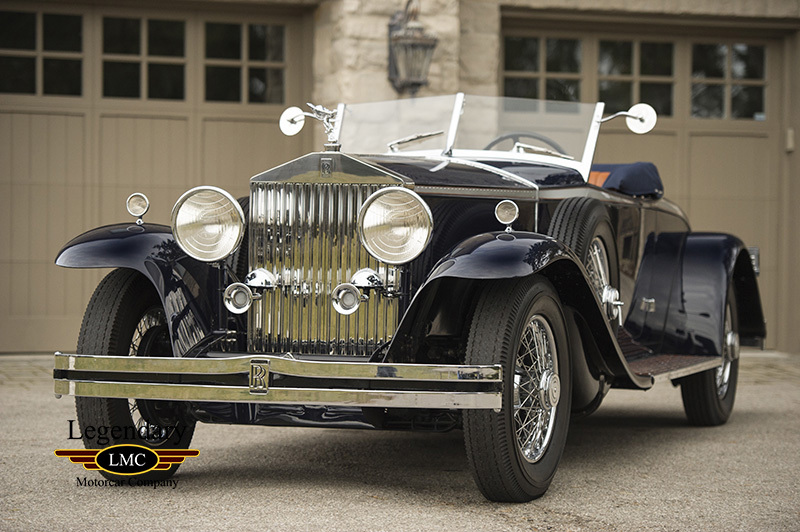 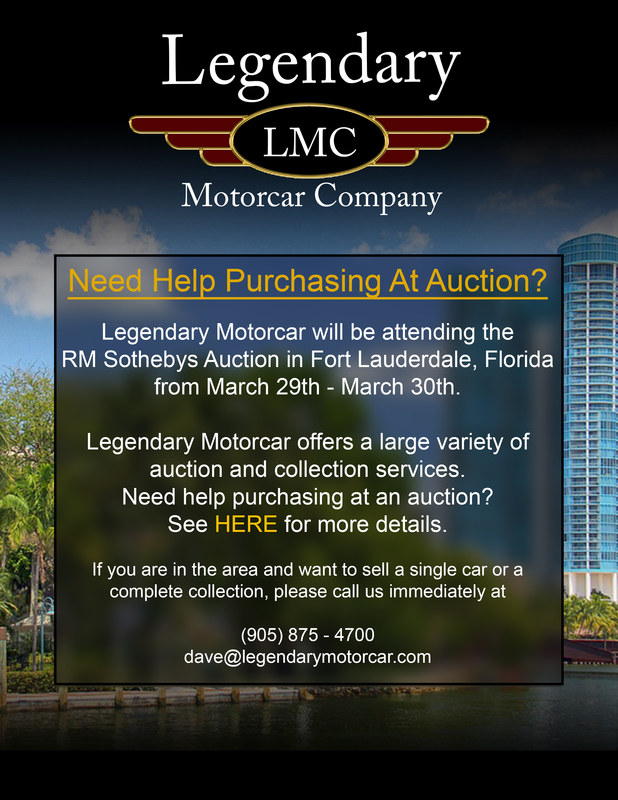 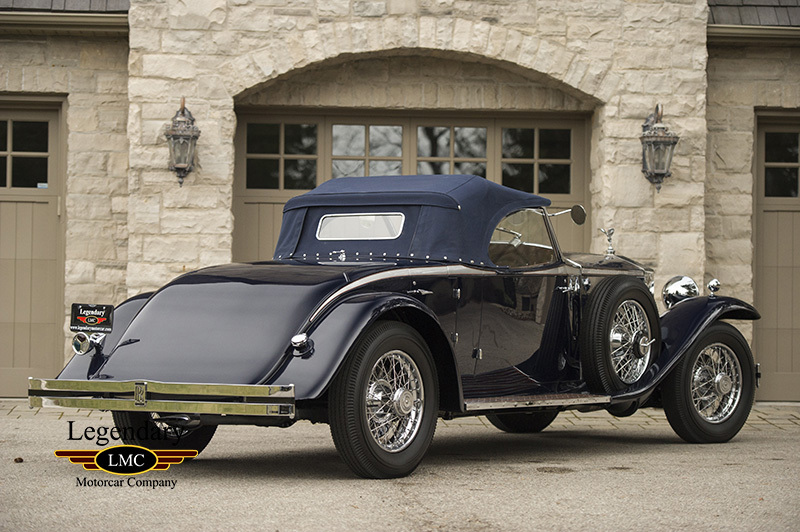 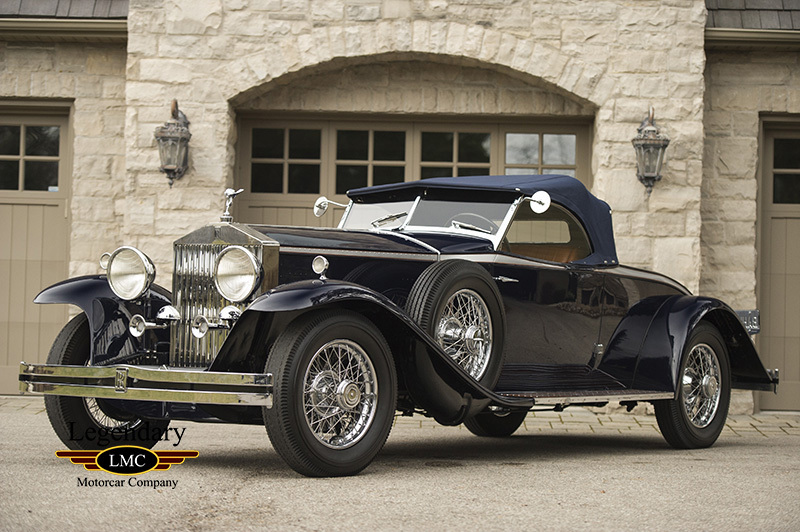 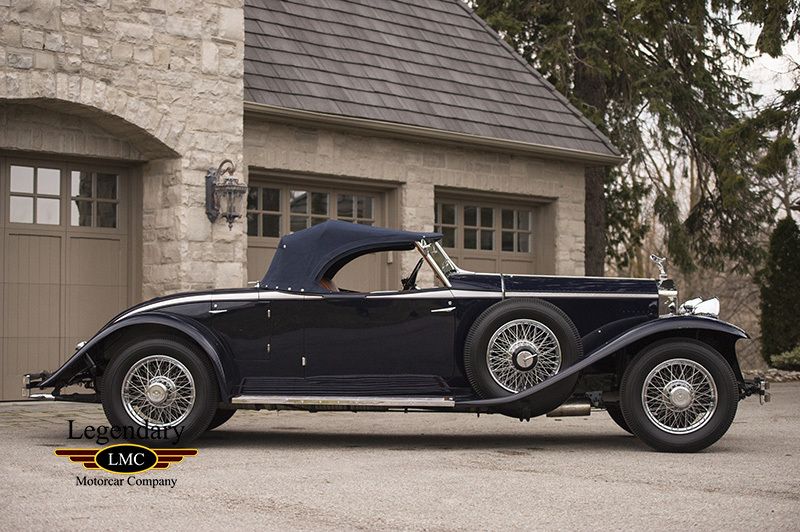 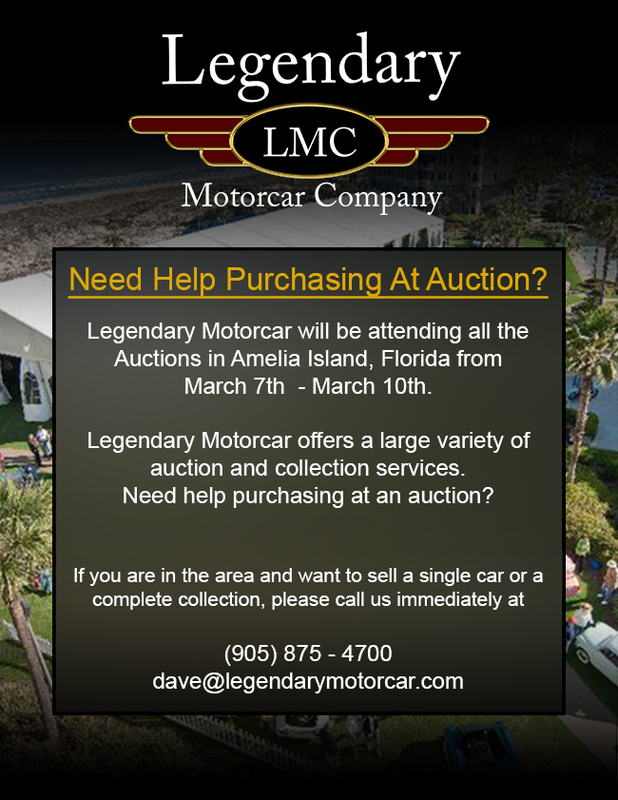 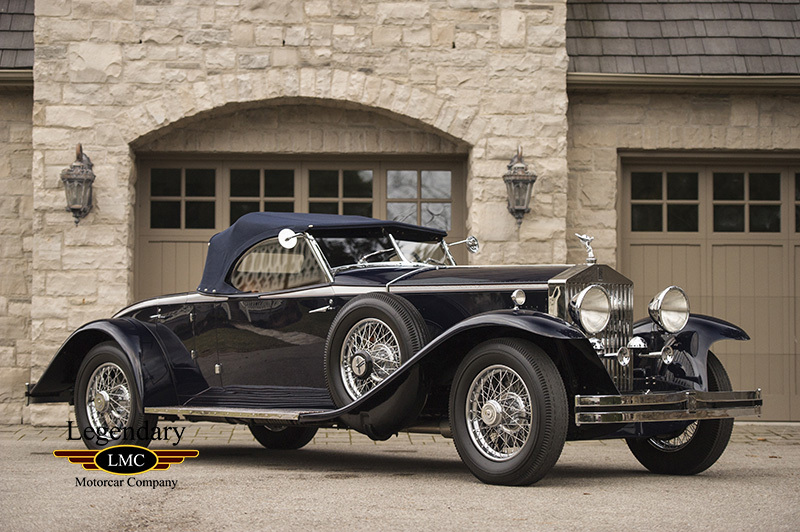 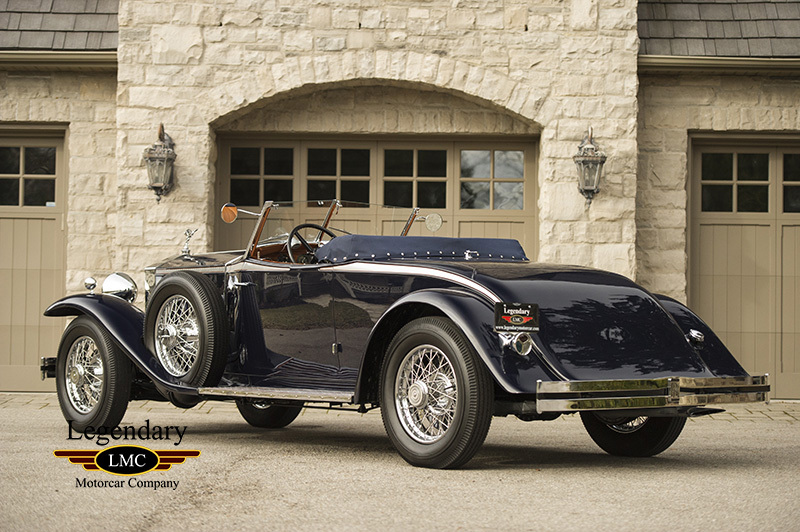 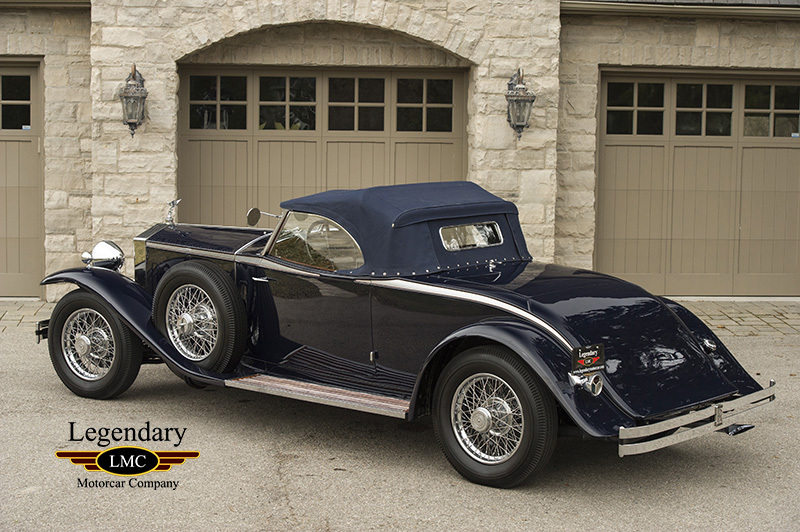 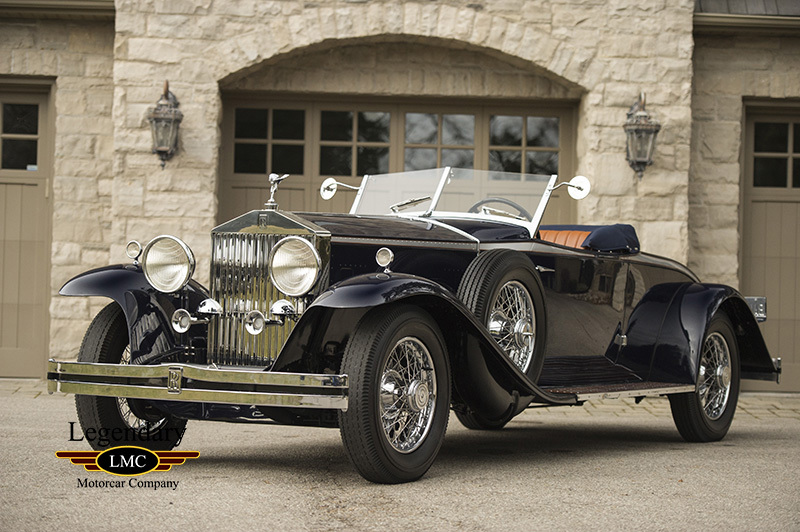 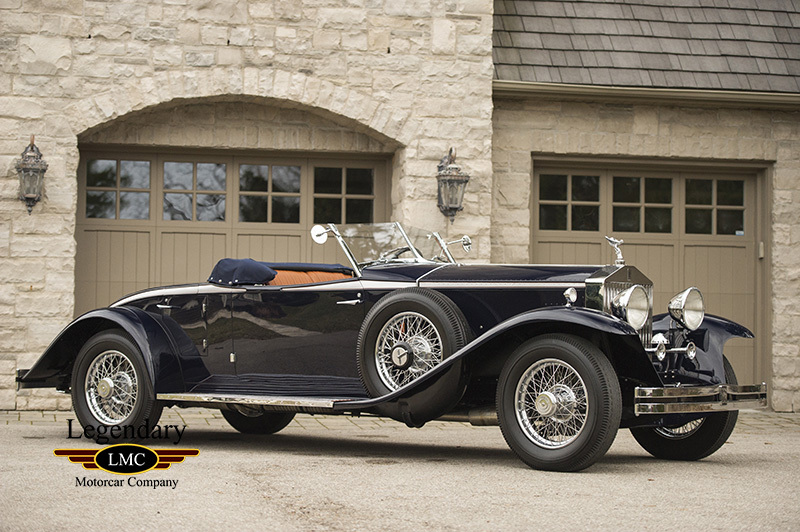 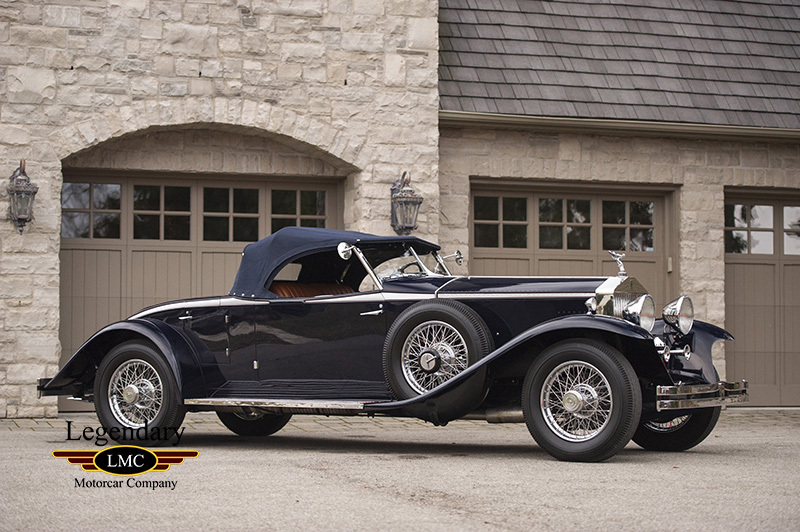 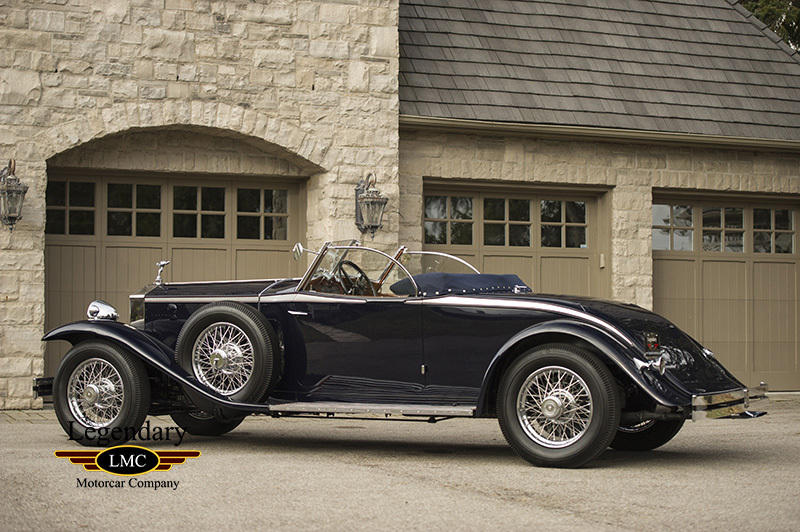 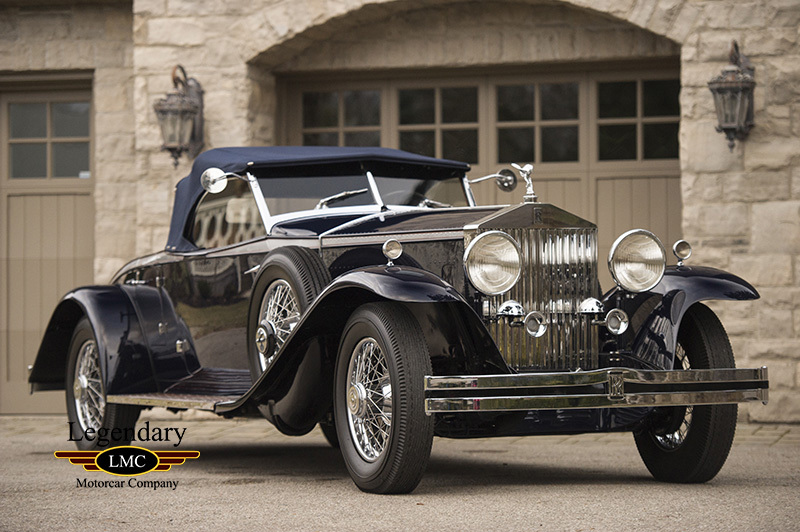 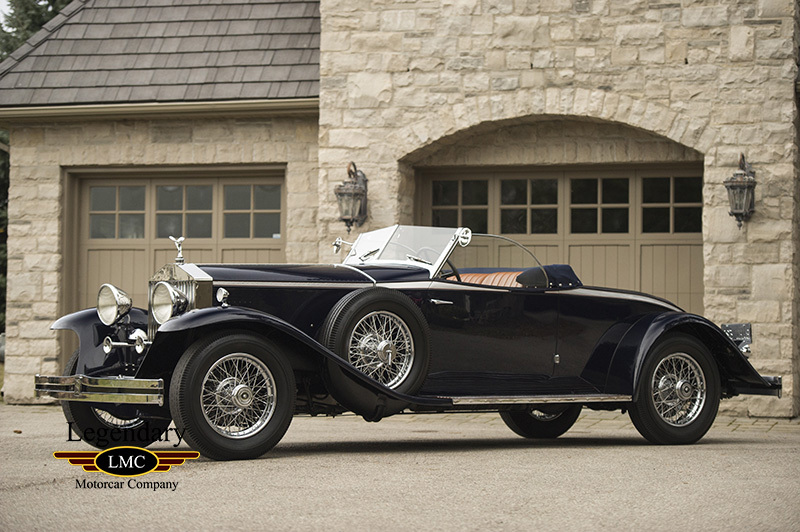 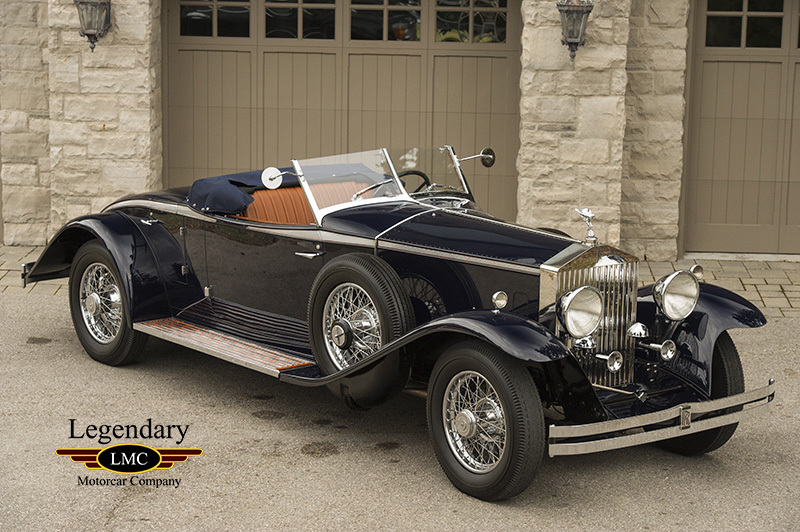 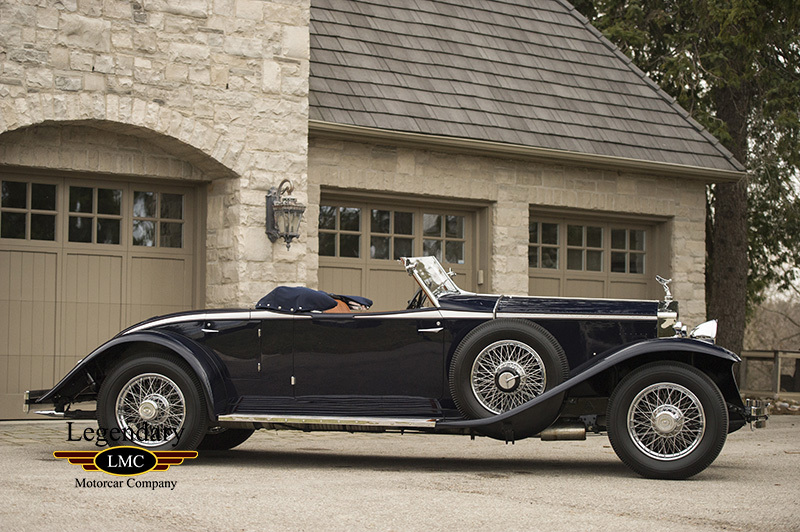 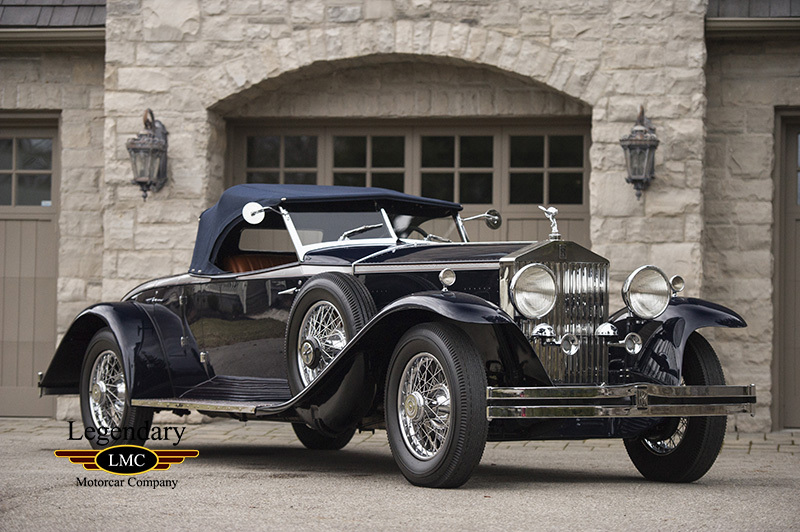 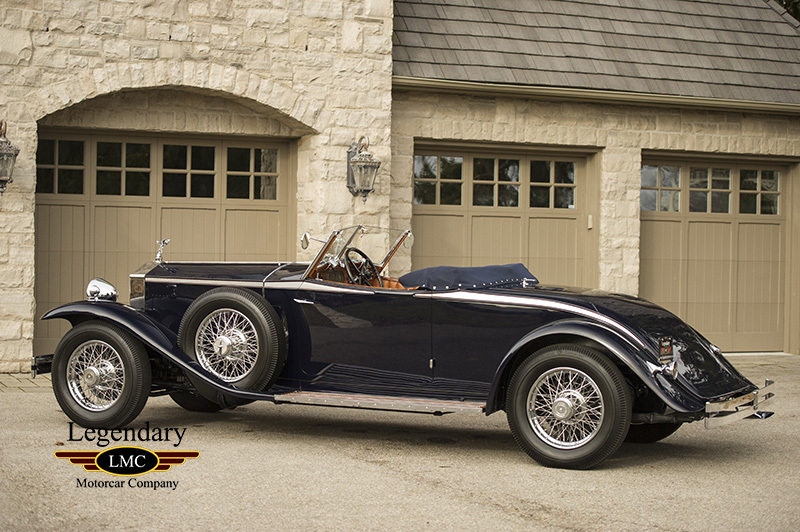 LMC is very proud to offer for sale this 1931 Rolls-Royce Roadster. 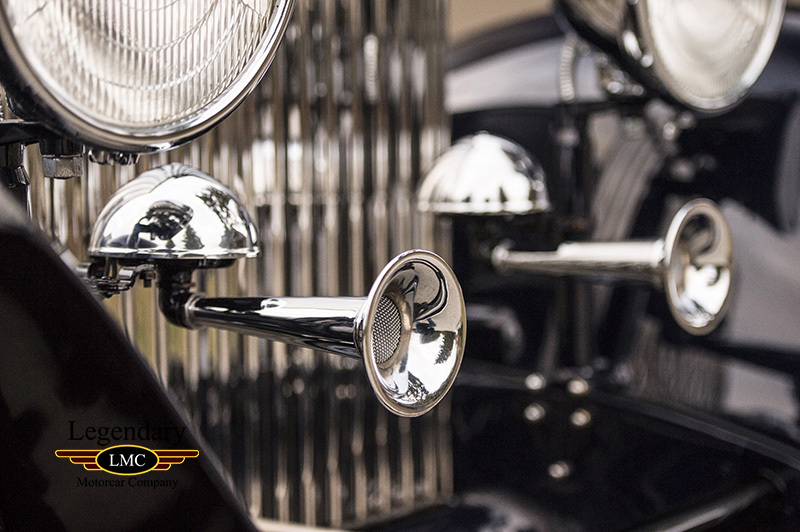 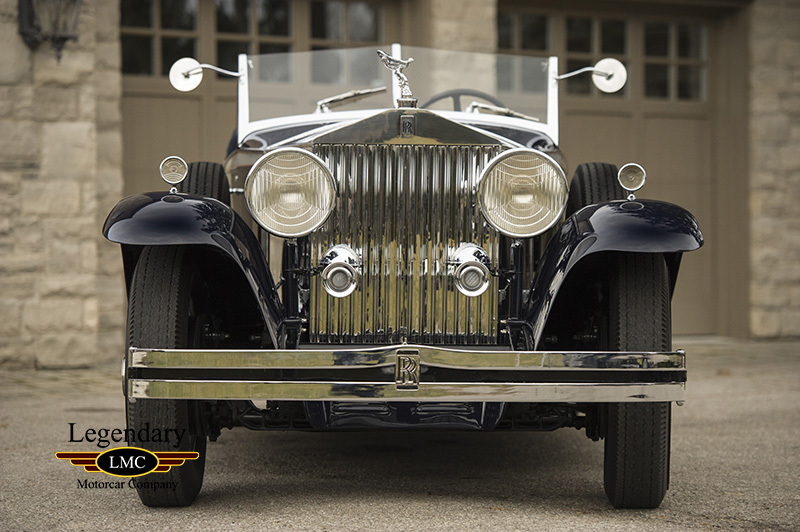 On October 18, 1919, Rolls-Royce of America was launched in Springfield, Massachusetts and produced 2,944 Silver Ghost and New Phantom cars between 1921 and 1931. 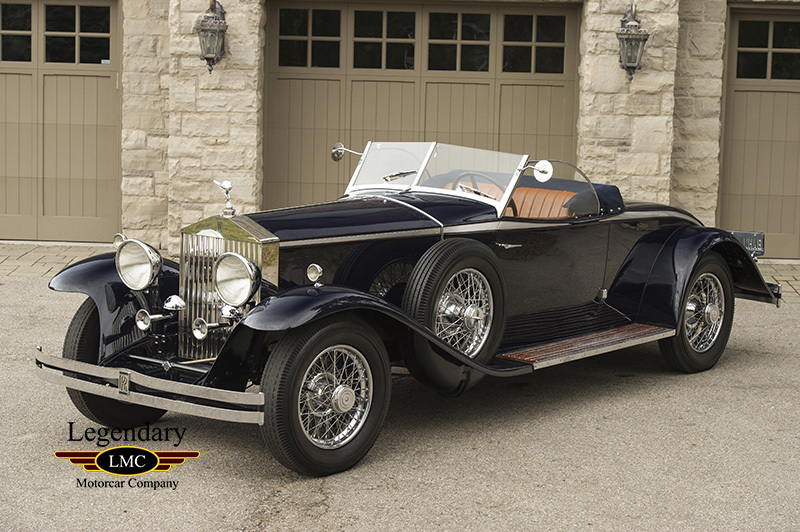 When production of the Phantom II ended in England, Springfield was left with a sparse inventory of Phantom I’s and a few imported Phantom II’s, so the Derby factory completed a series of “Americanized” Phantom II chassis and sent them to Springfield. 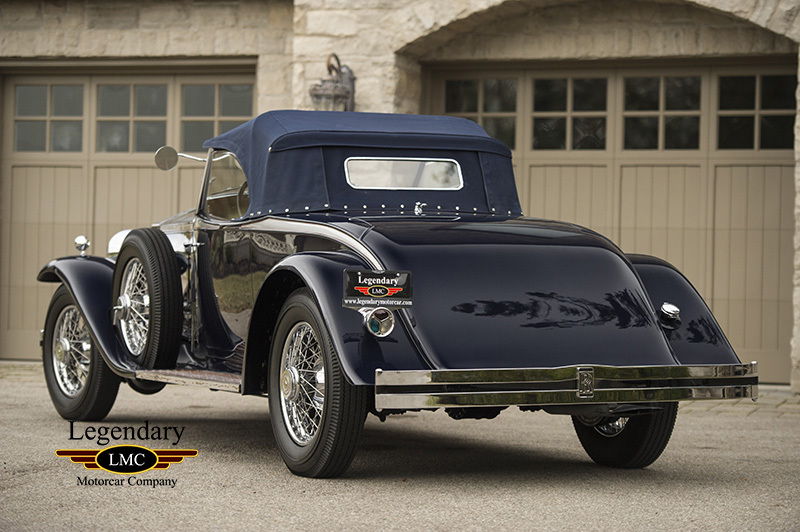 The chassis numbers on these cars ended with either “AJS” or “AMS.” The “A” represented a car modified for the American market. 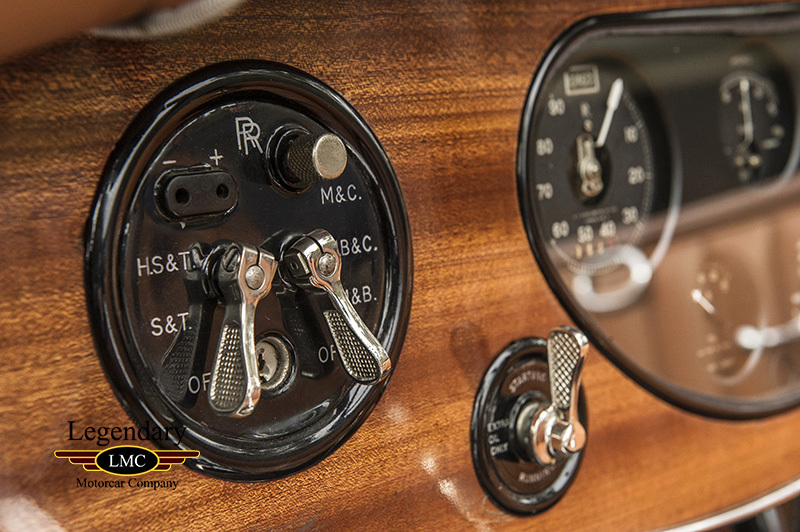 The most obvious change was the conversion from right-hand to left-hand drive. 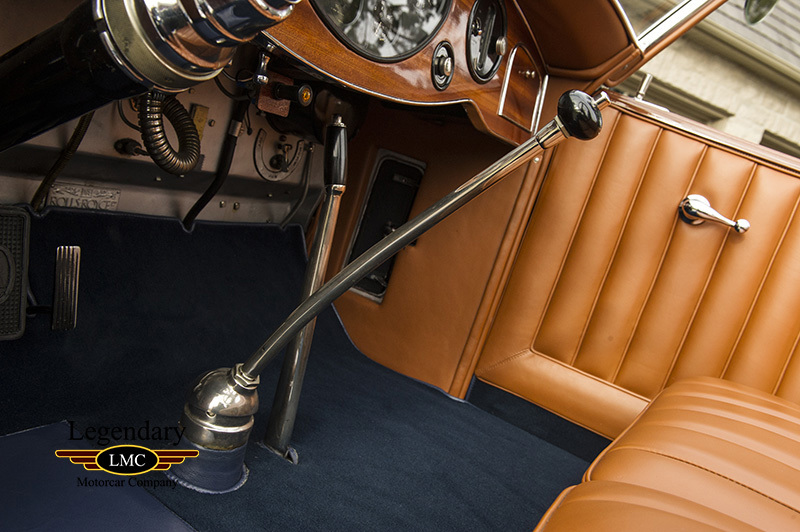 An American-type central gearshift replaced the British-style side lever. 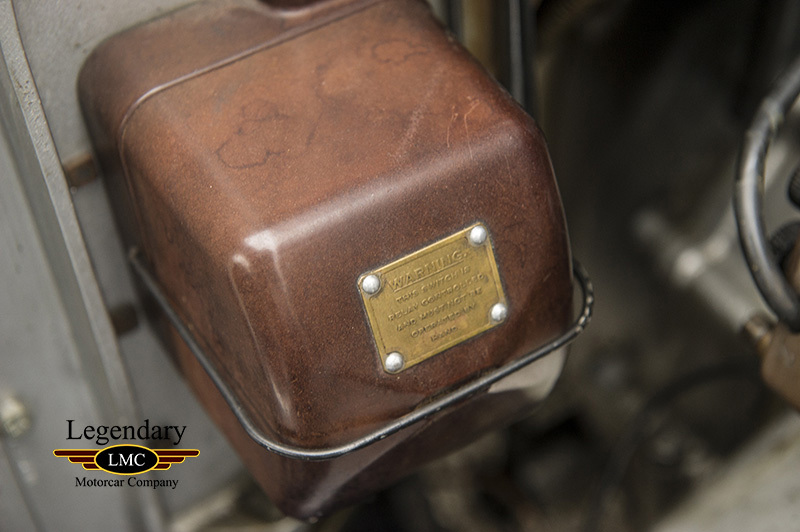 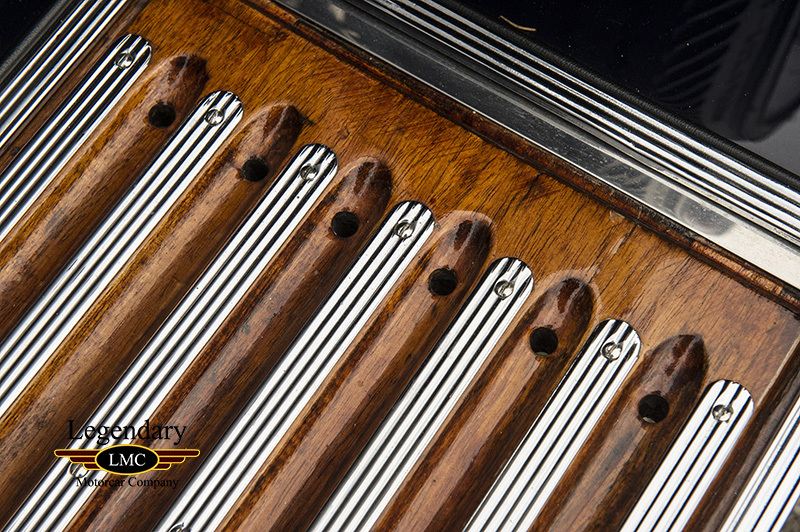 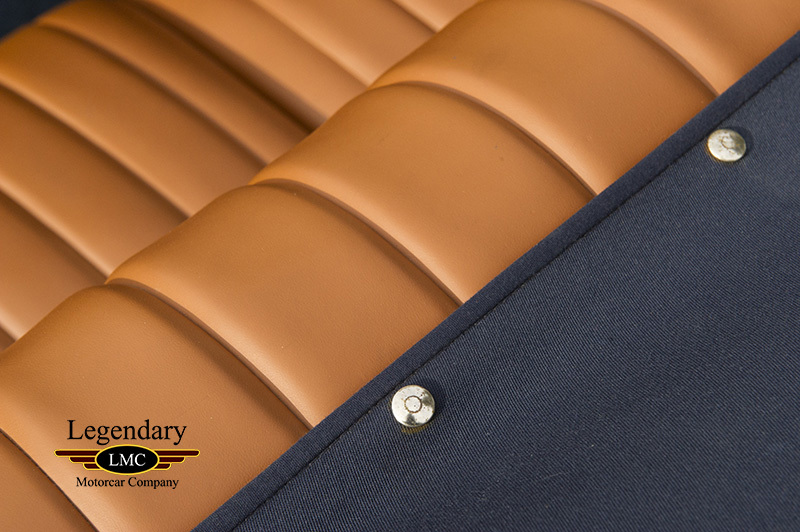 The radiator shutters were thermostatically controlled to open or shut depending upon engine temperature, and manual control of extra cylinder lubrication was fitted for cold starts. 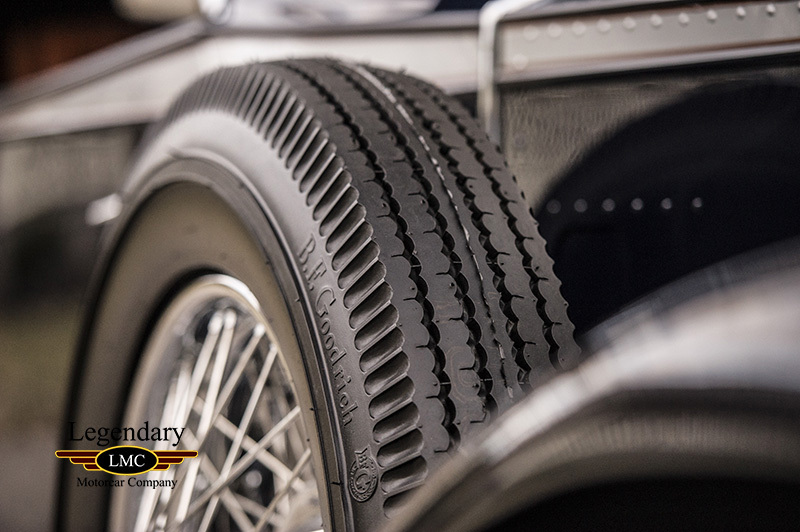 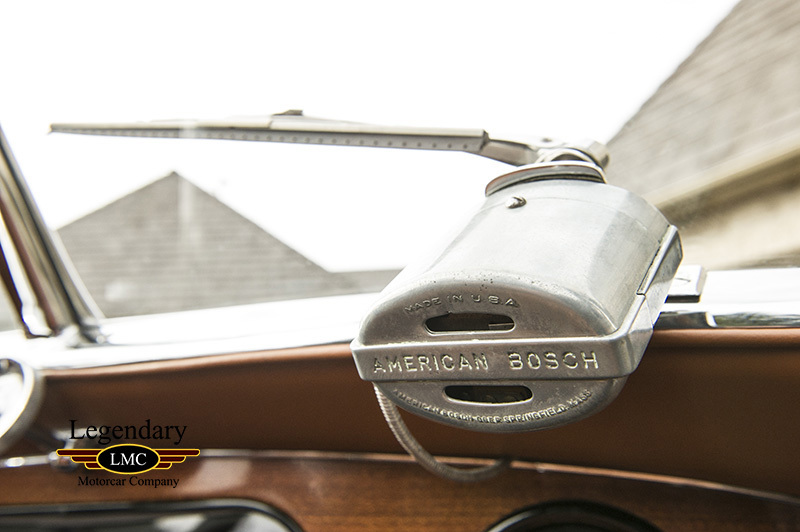 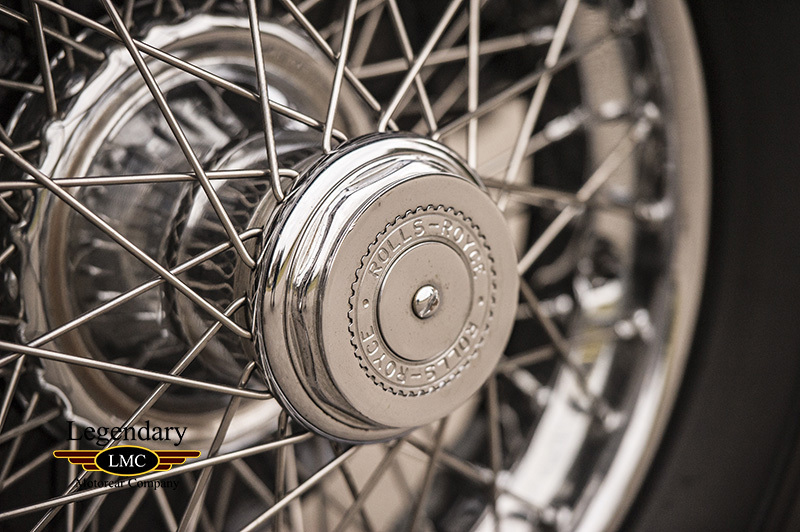 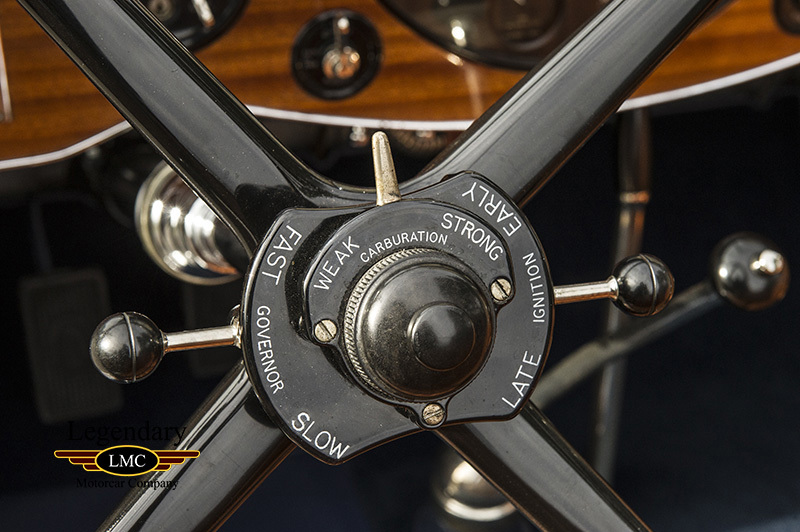 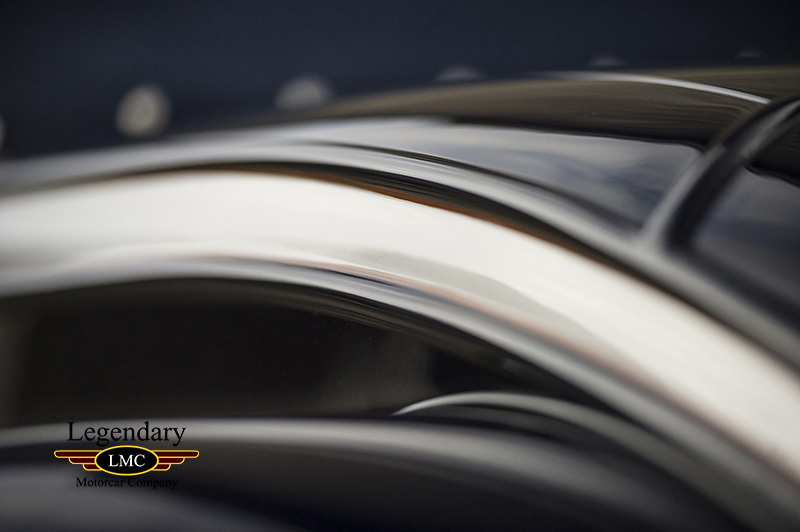 Assuming Americans drove faster and more aggressively than the British, front and rear bumper supports, wider brake shoes, heavier rear brake drums, and higher gear ratios for high-speed touring were installed. 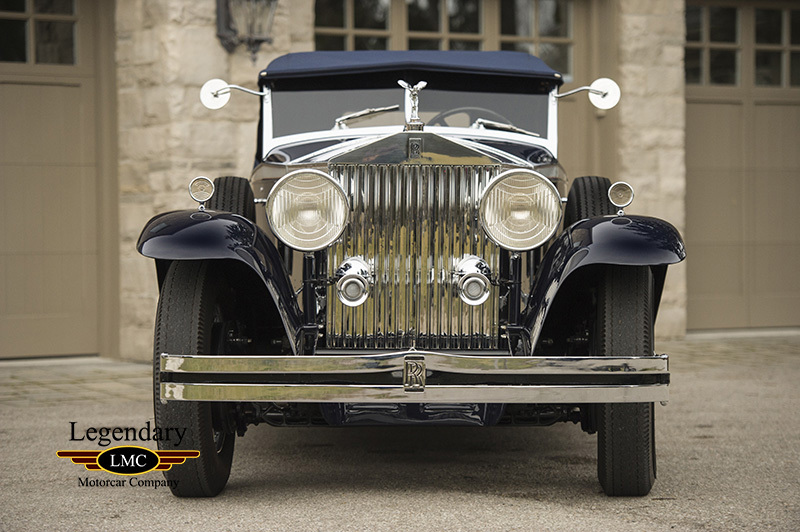 These cars were manufactured and tested at Rolls-Royce Works in Derby, England, then shipped to the United States. 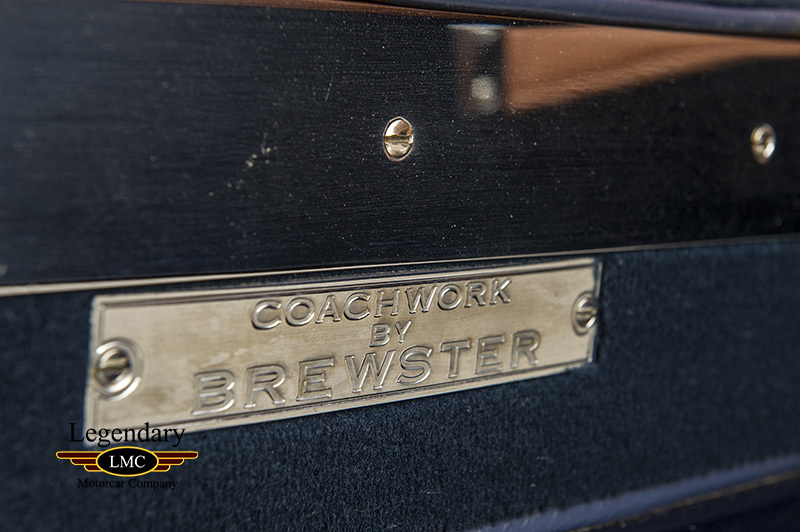 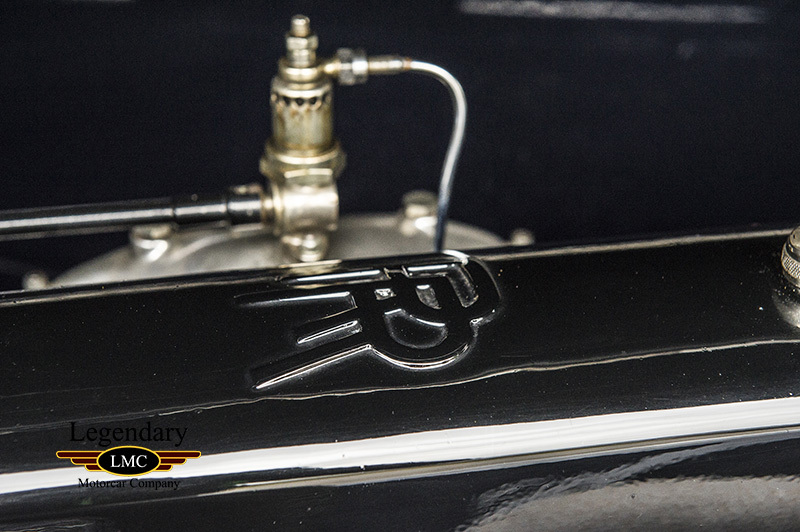 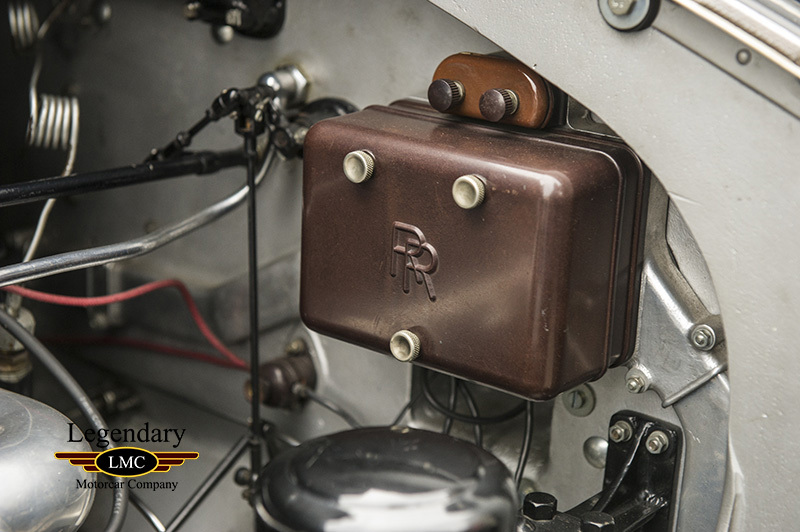 In 1925, Rolls-Royce of America purchased the coachbuilder Brewster & Company and in 1931, the firm began designing and fitting bodies onto the chassis imported from England. 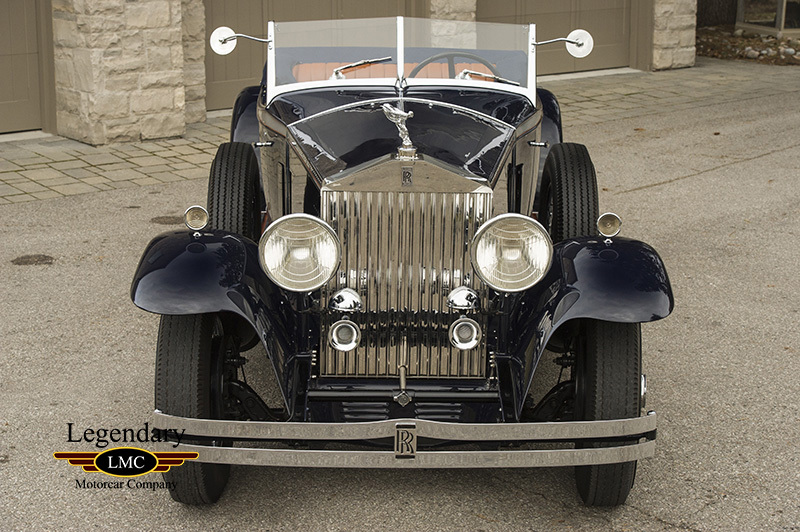 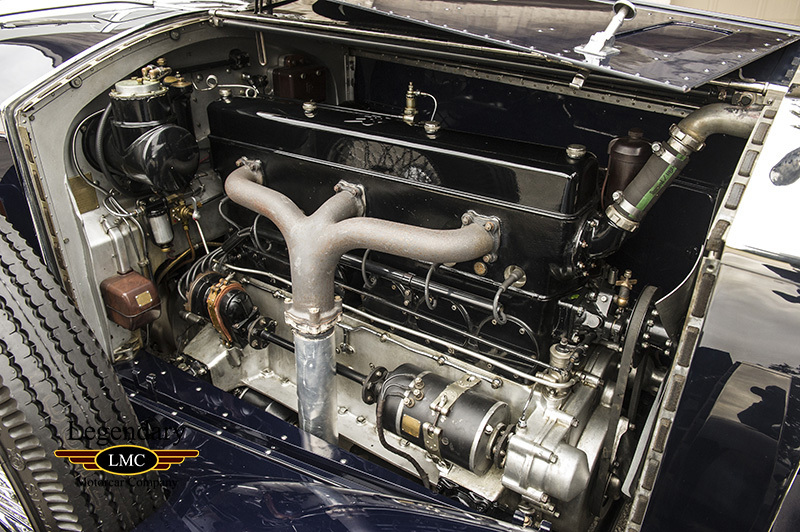 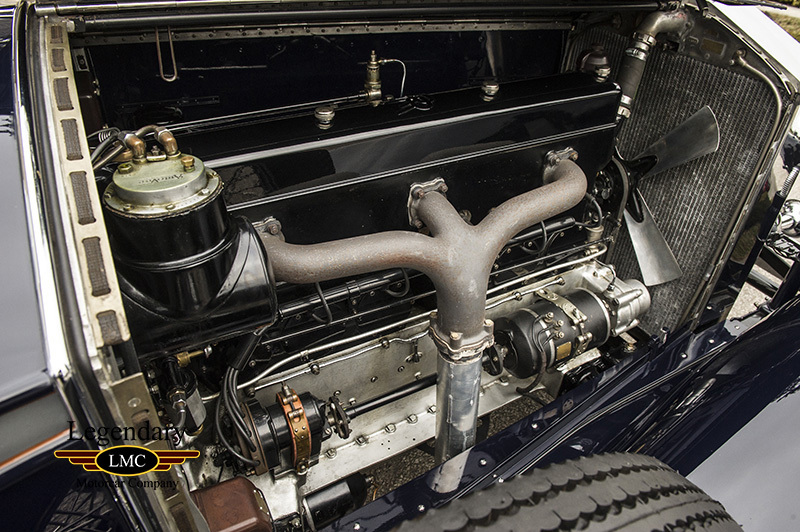 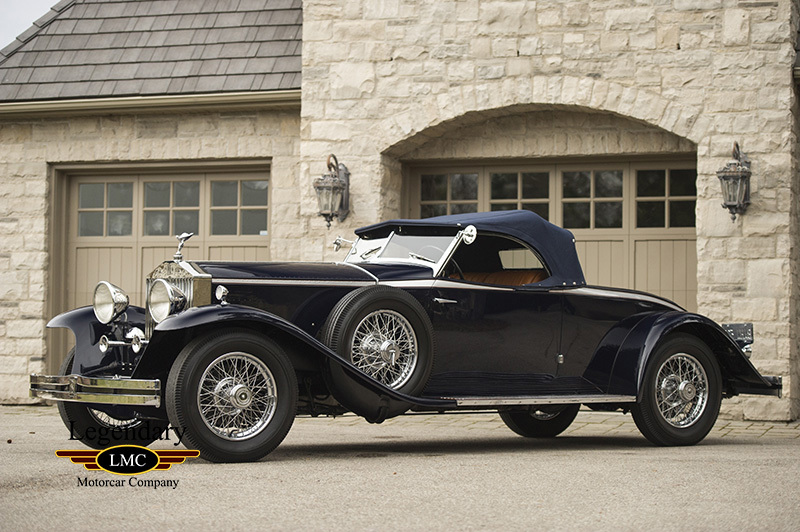 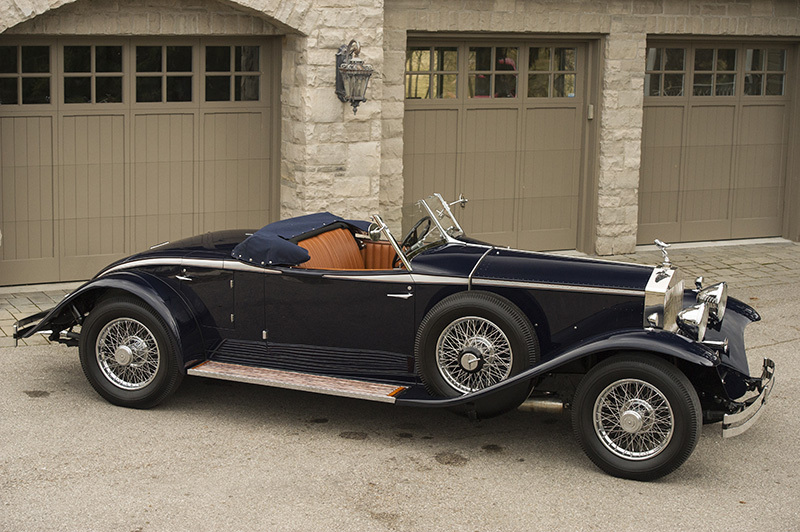 This 1931 Rolls-Royce Springfield Phantom II Henley Roadster was ordered on March, 20, 1931 with a Keswick body. 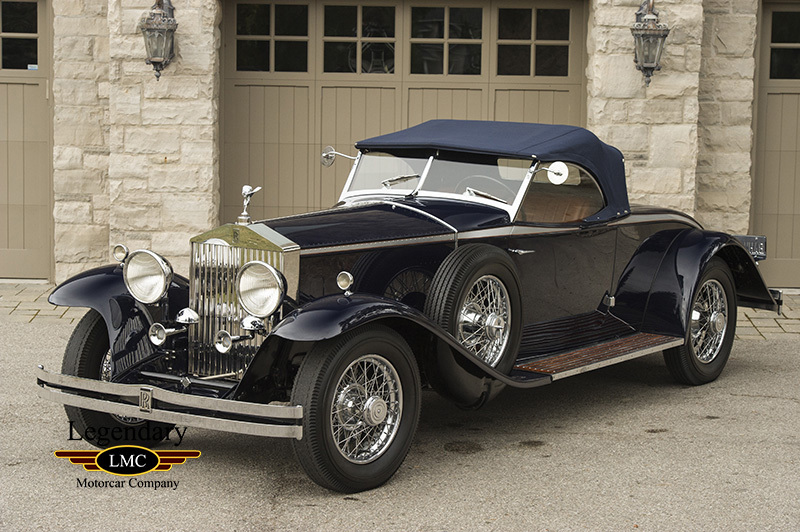 On December 31, 1931, it was delivered to its first owner A.C. Burrage, in Boston, Massachusetts. 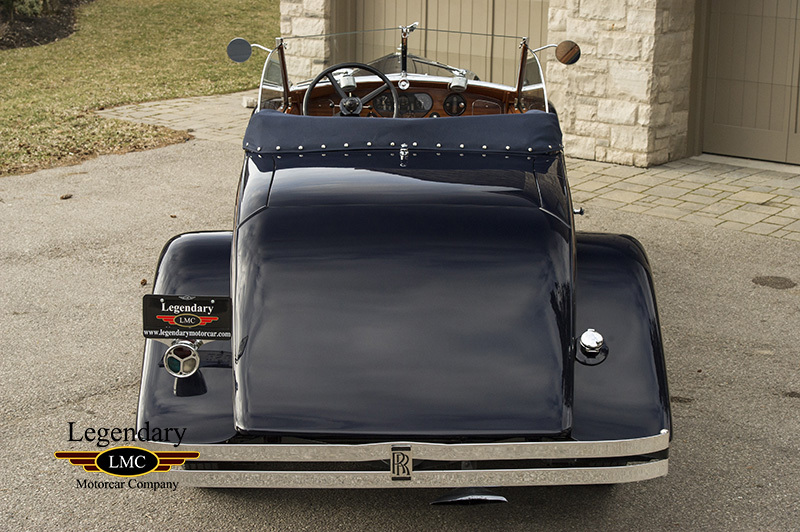 John H. Chapin of New York would take over ownership of this classic on December, 23, 1949 as documented by Rolls Royce. 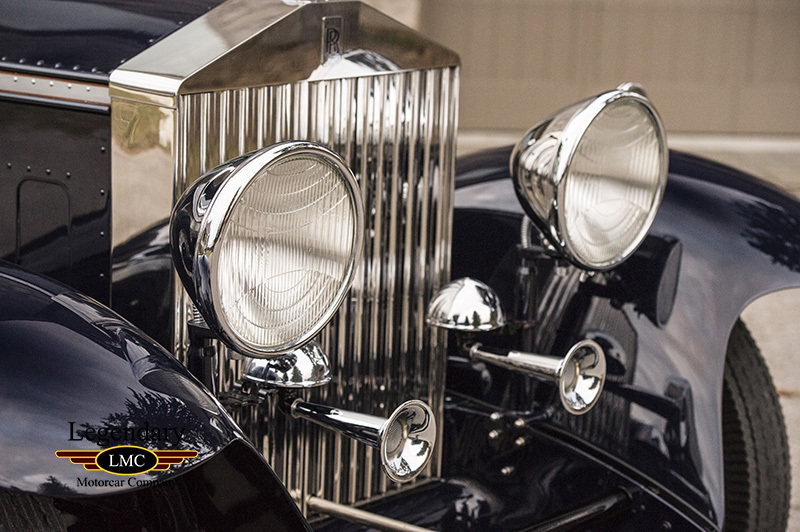 On January 9, 1957, Sexton P. Phelps of New York would become the cars next caretaker. 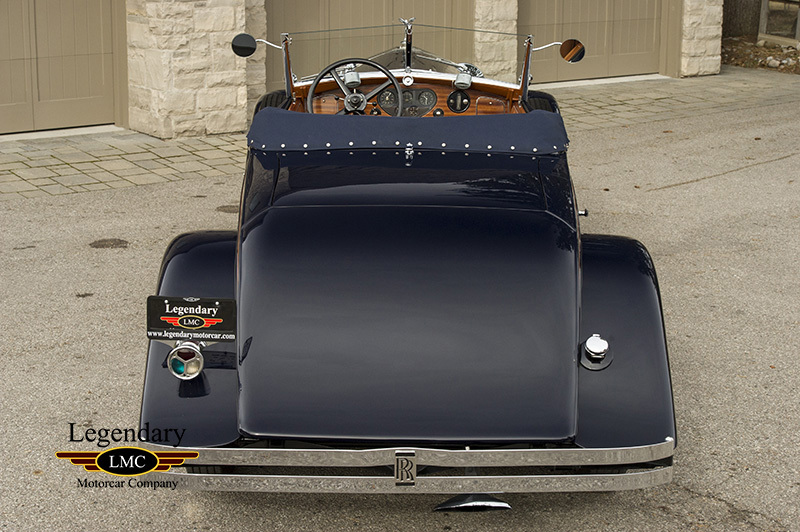 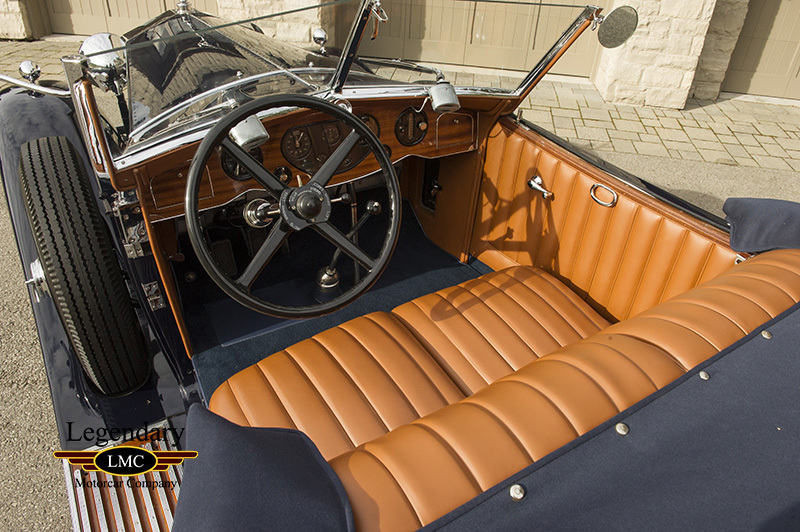 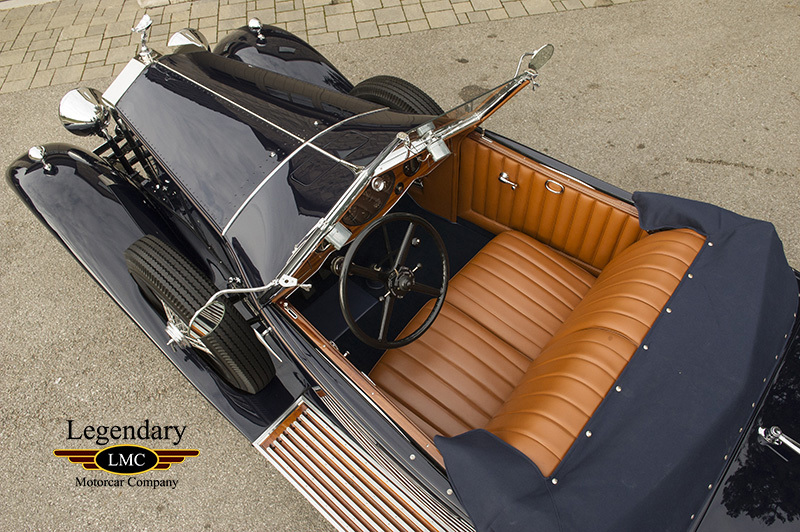 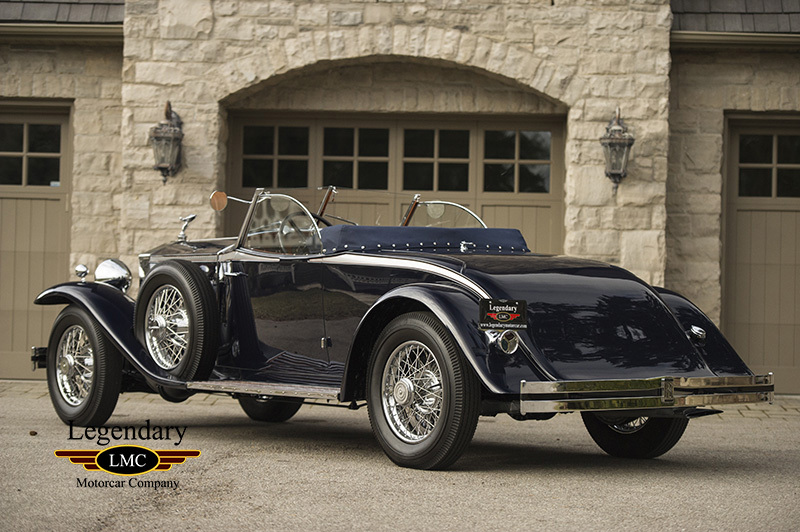 The Rolls-Royce Foundation has records indicating it bodied as this absolutely stunning Henley Roadster by the 1950’s as well complete with its number matching engine. 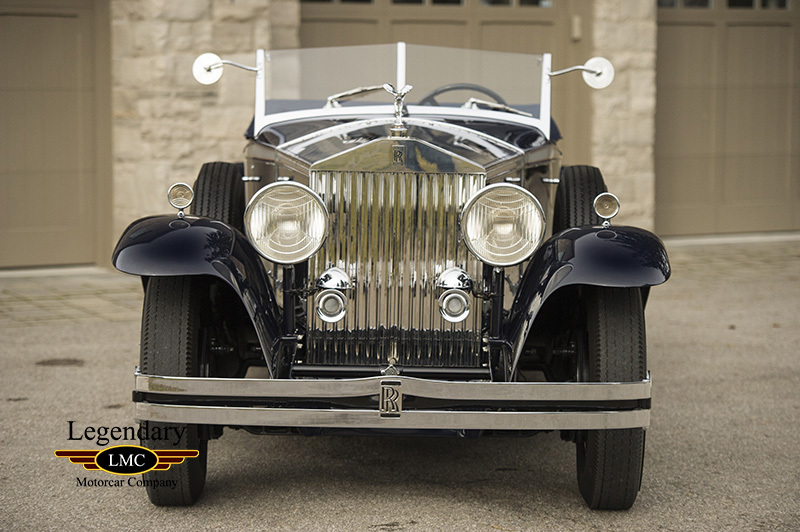 The Rolls-Royce would move to Chicago under ownership of Frederick W. Spiegel next, and would remain in Illinois until 1985. 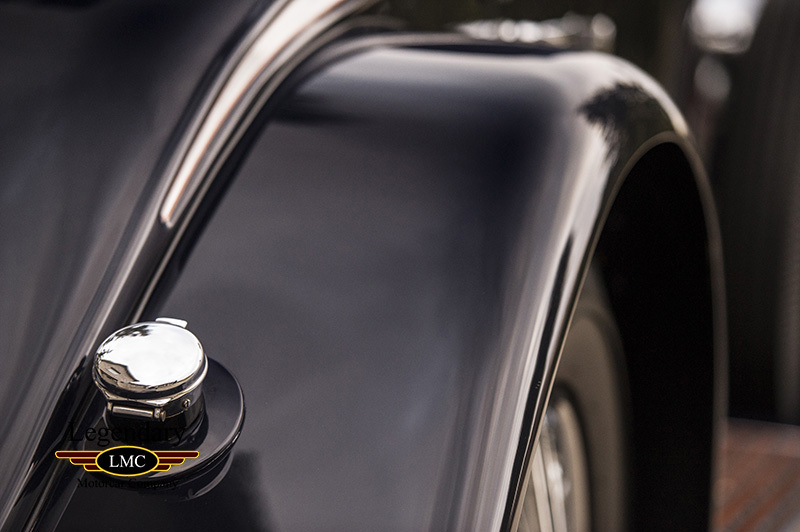 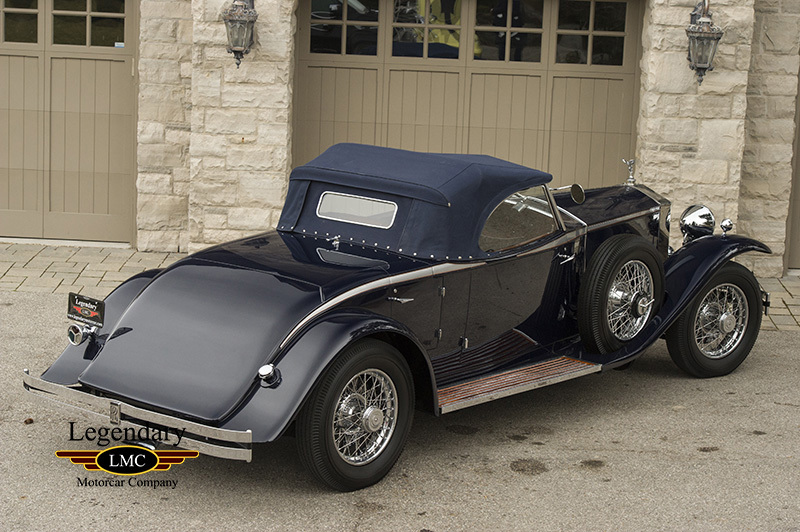 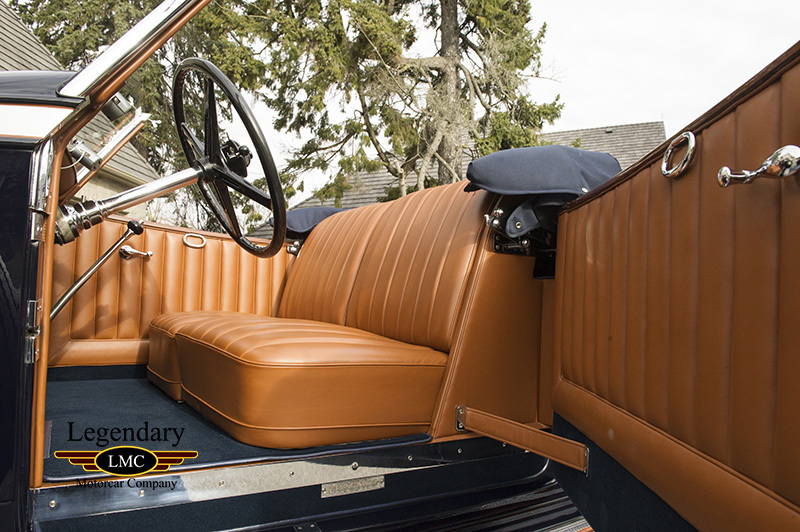 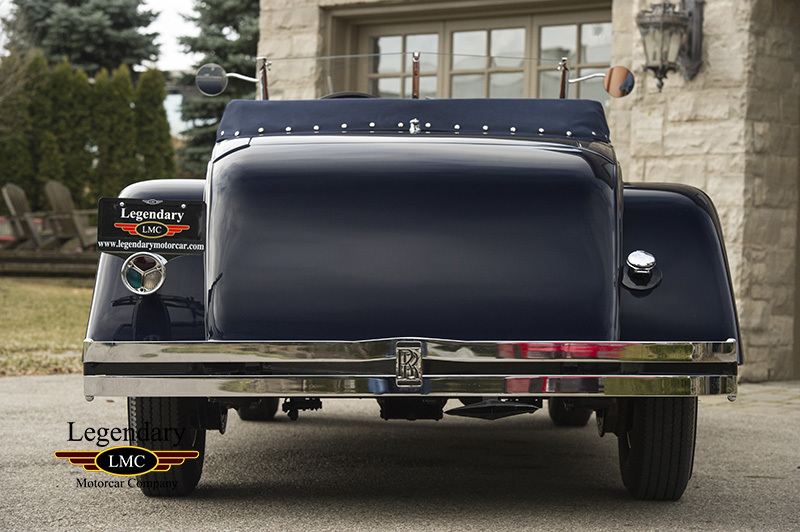 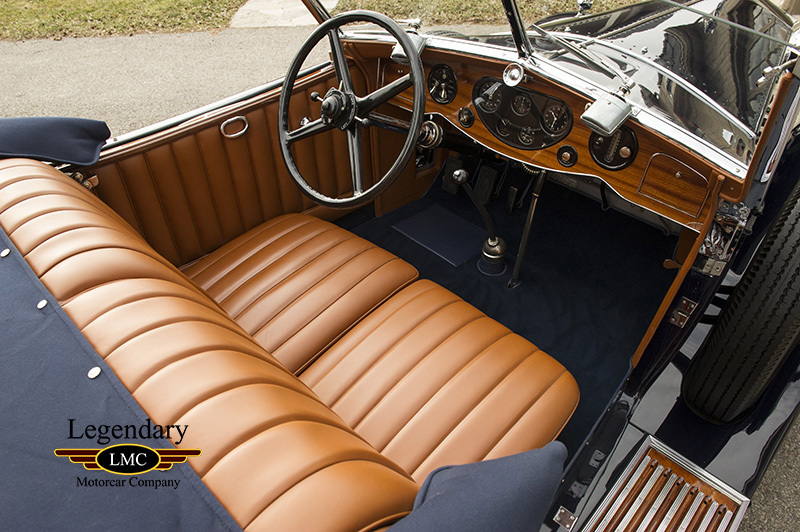 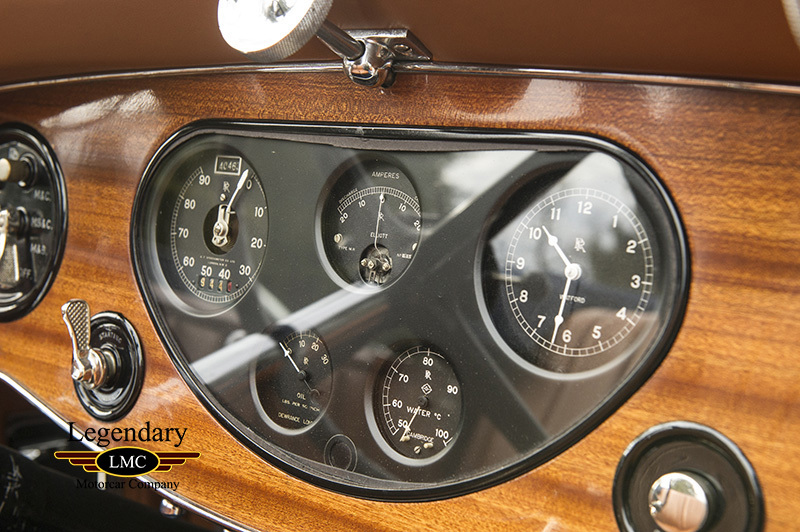 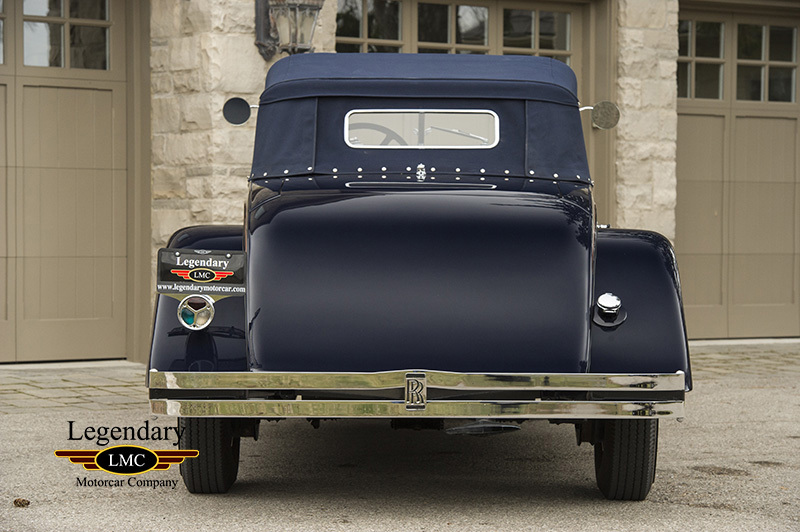 Recently, this beautiful classic has been treated to a complete ground up restoration that now has this car in truly Concours worthy condition. 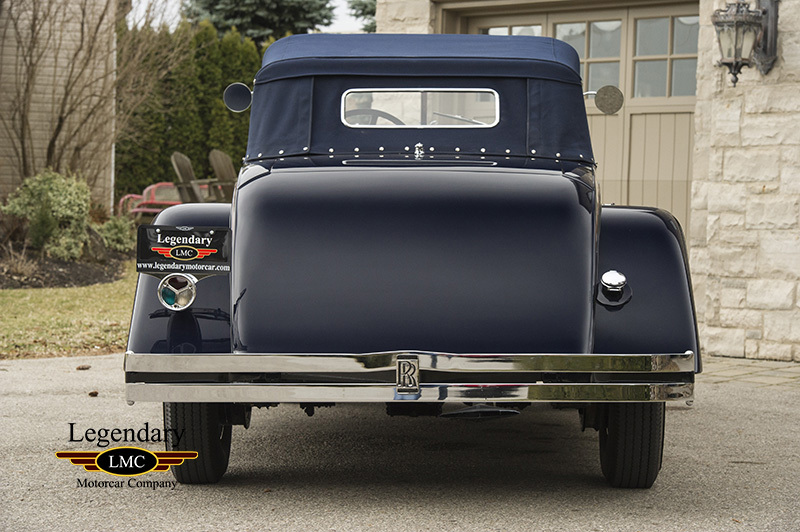 The wheels feature all new chrome and new spokes while the exterior is freshly finished in a custom Dark Blue. 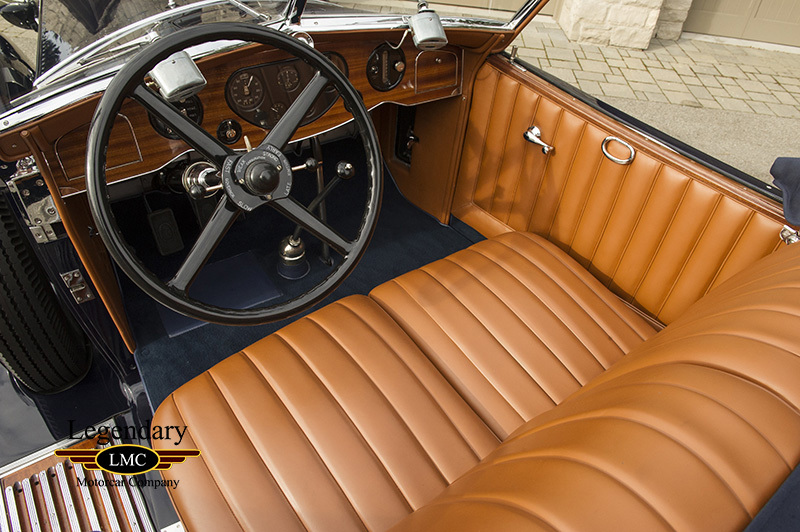 Inside, there is all new leather and new wool carpets with a new matching canvas convertible top. 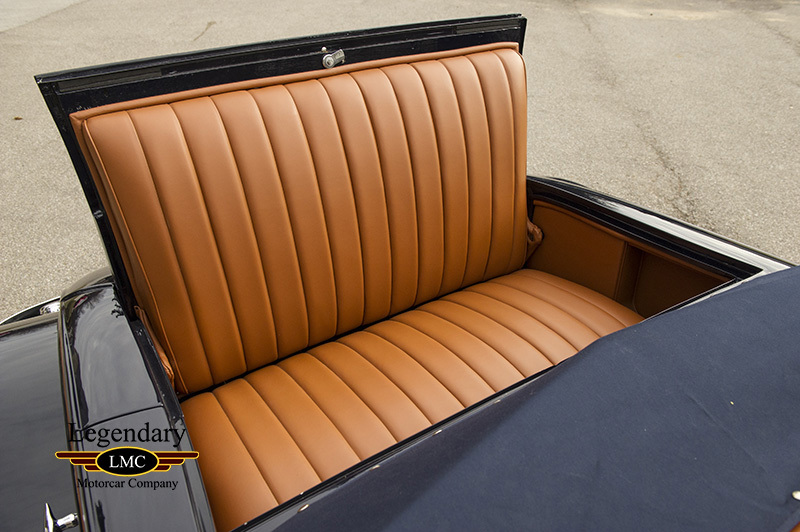 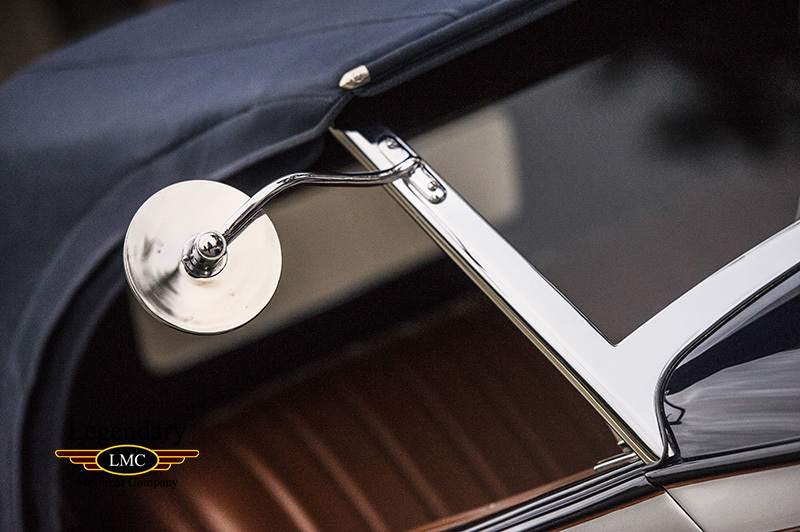 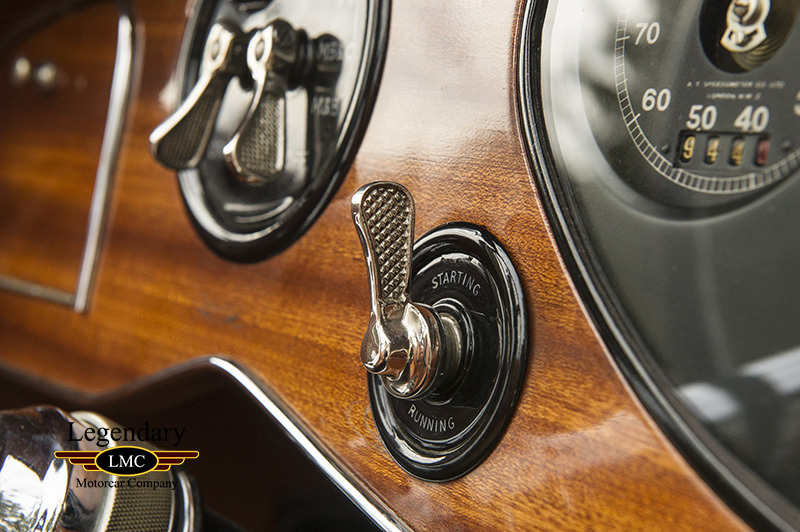 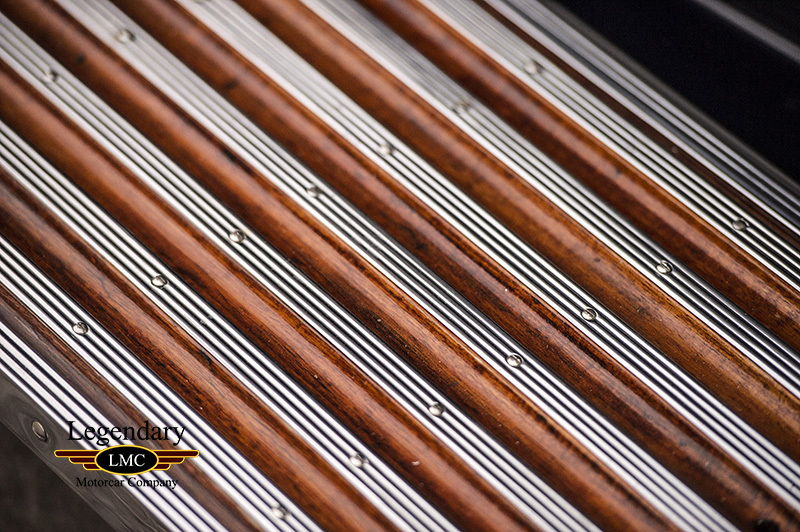 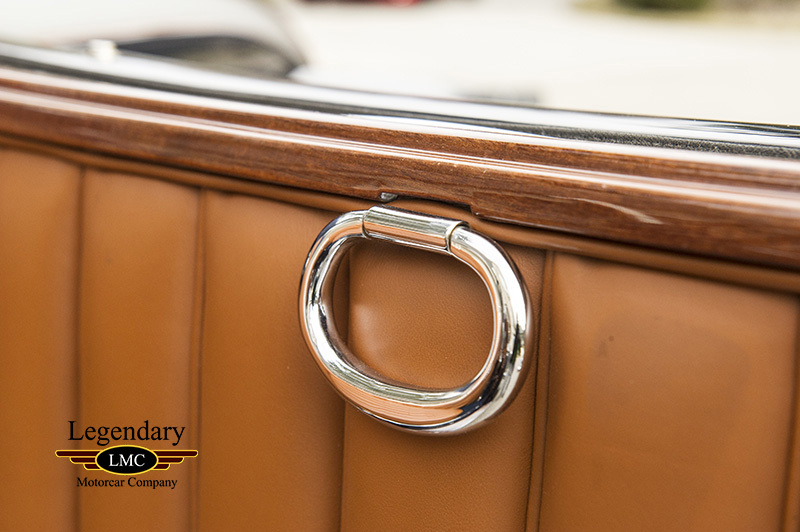 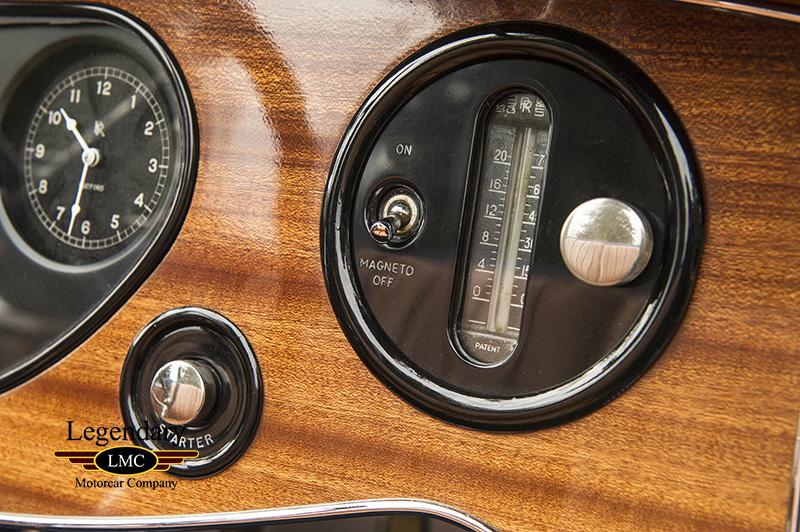 All the wood accents on this Rolls have been refinished to a show quality finish. 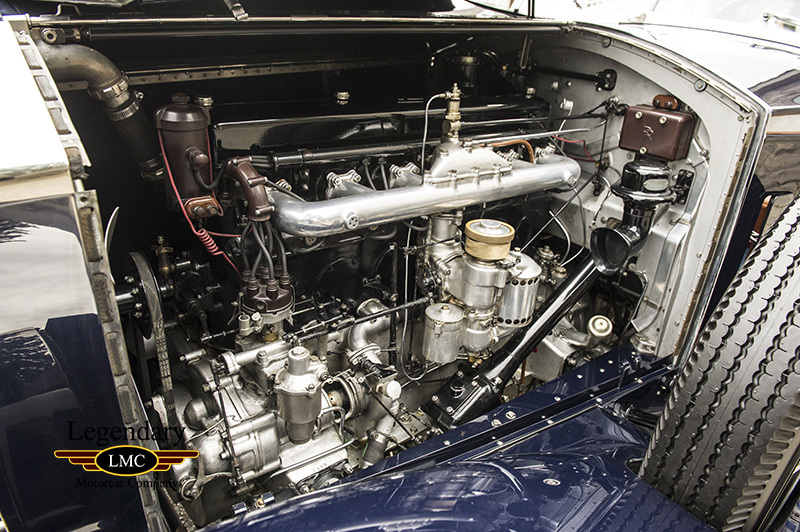 The numbers matching 7.6L 6-cylinder engine and engine compartment look incredible and perform just as well. 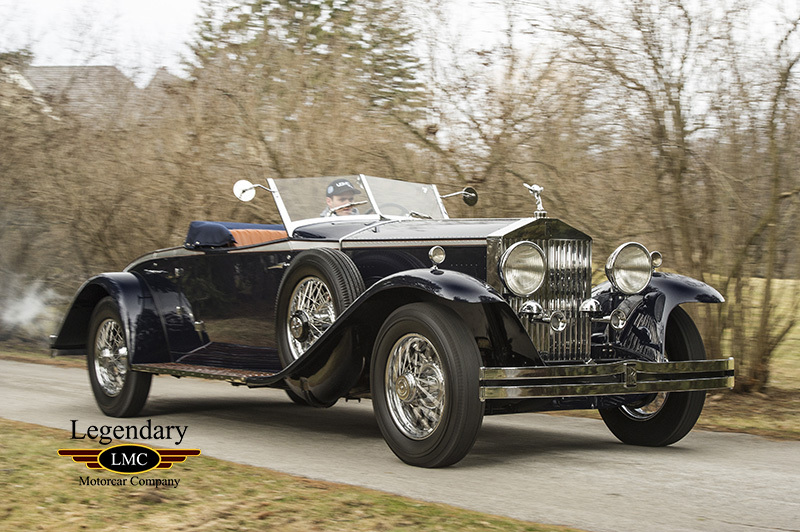 Several pieces of important documentation are present and will be included with the sale some of which include; the chassis build sheet, chassis cards from 1931 and 1949, Schoellkopf card from 1957, and Rolls-Royce Owners Club registrations. 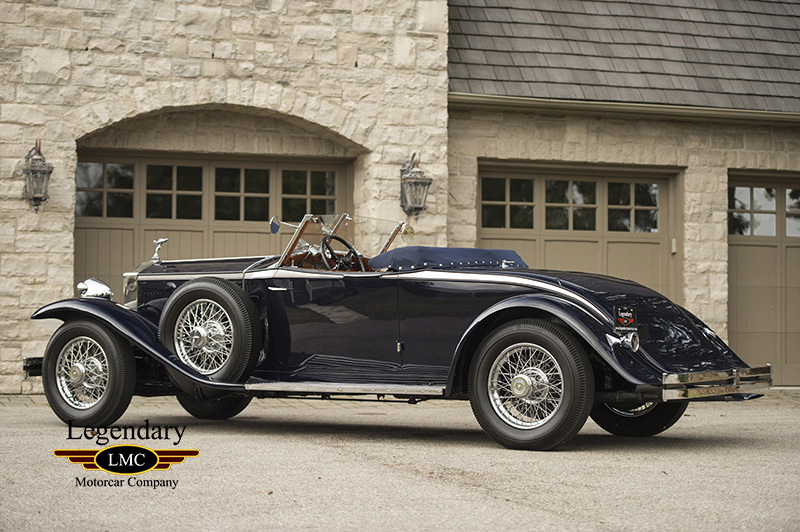 This beautiful 1931 Rolls-Royce Phantom II Henley Roadster is an opportunity to own a well-documented and Concours worthy classic. 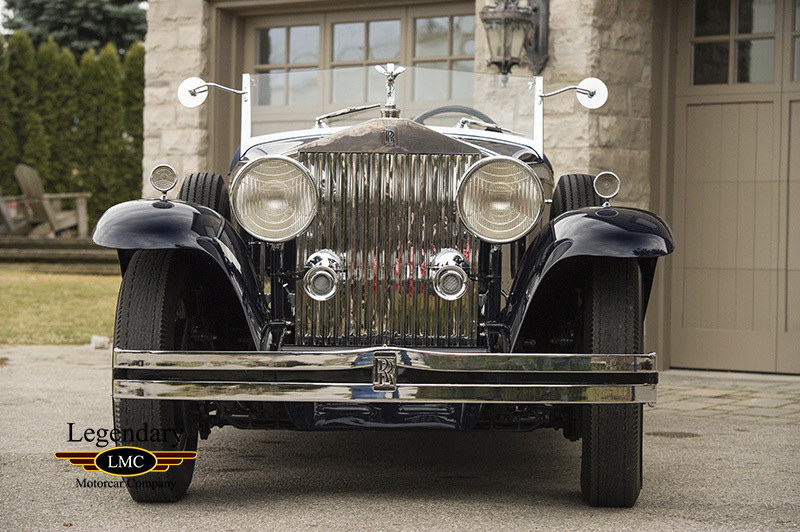 This Rolls-Royce is a desirable centerpiece for any collection. 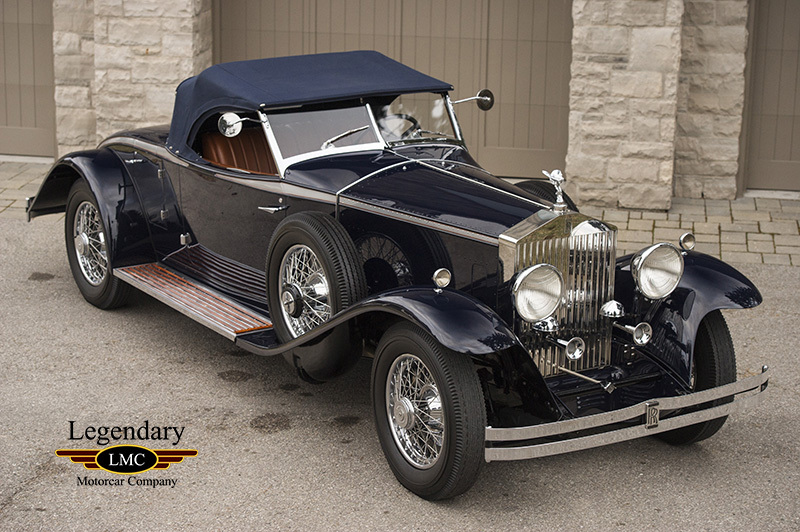 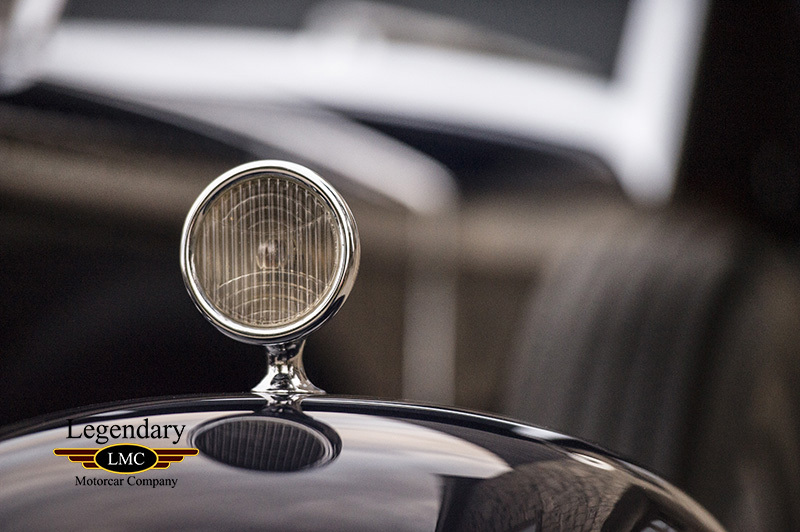 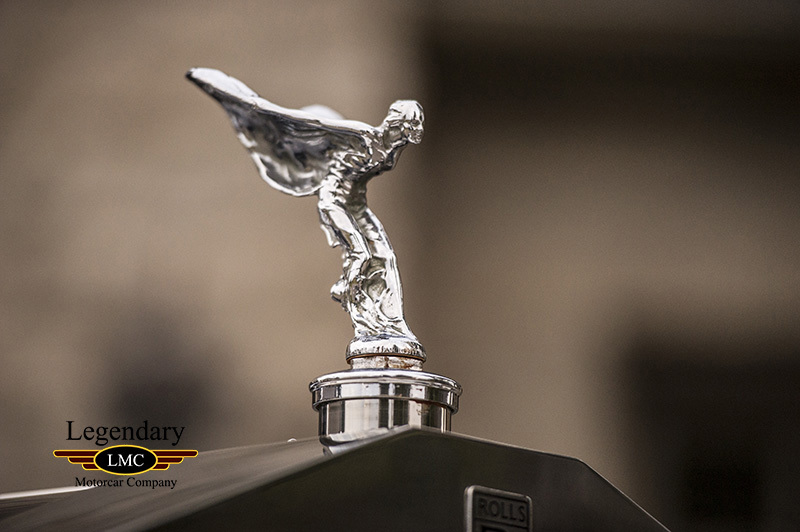 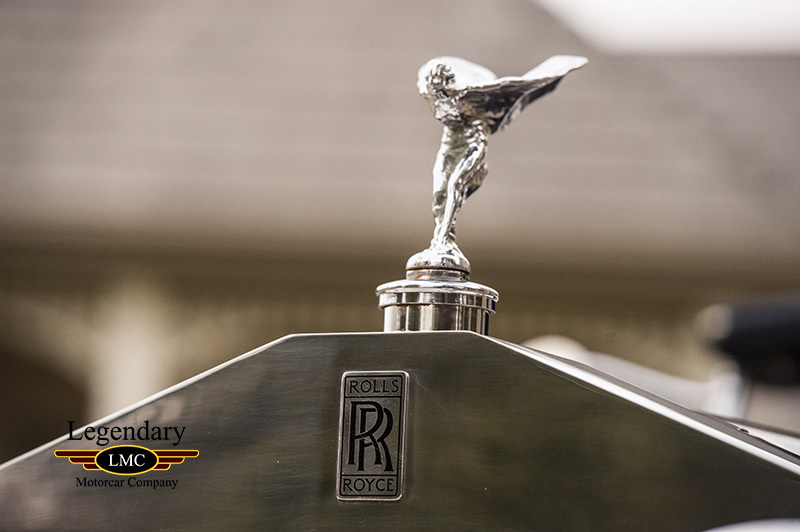 Legendary-Motorcar-Company-Ltd-2018-027 Rolls Royce 1931 Rolls Royce Phantom II Henley Roadster 2018-027 0 Legendary Motorcar Company Ltd.